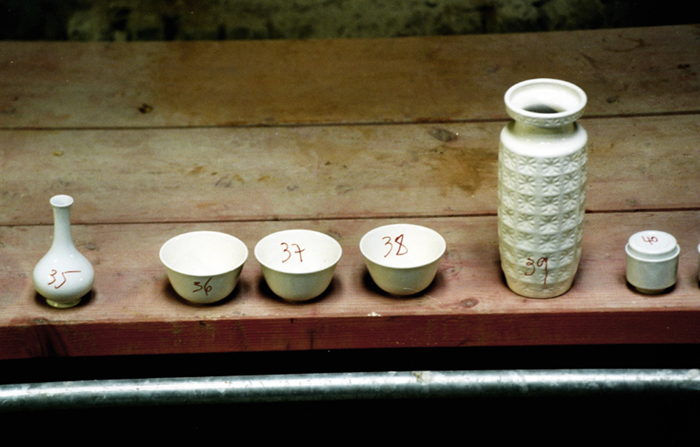 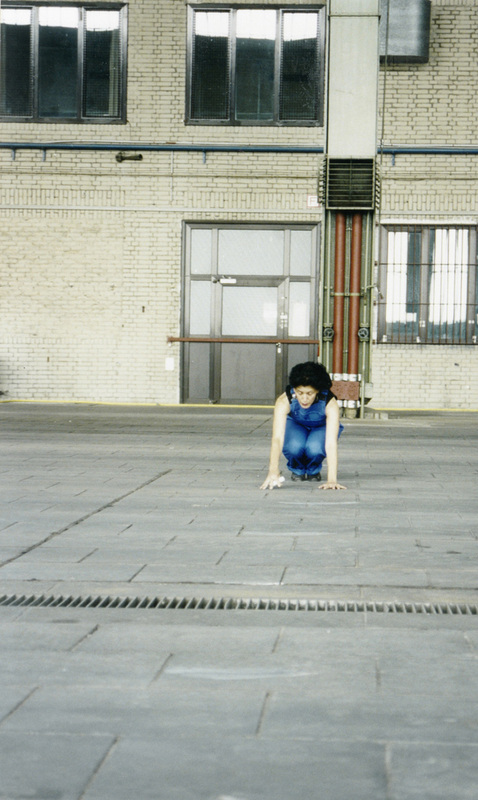 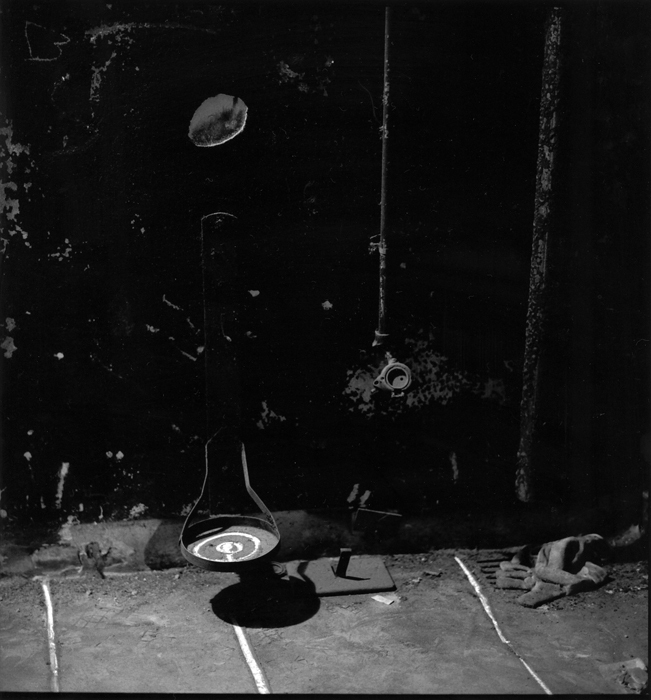 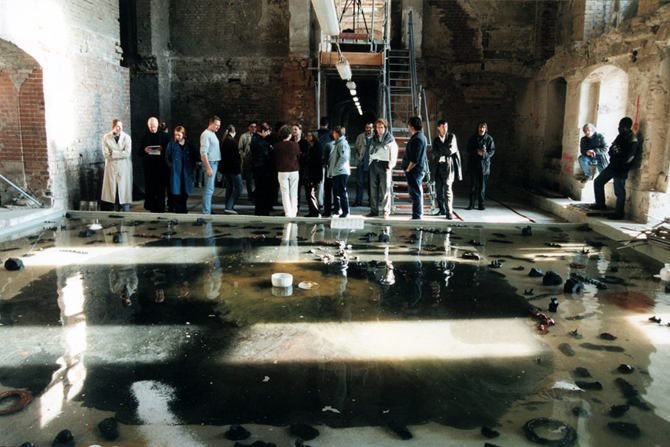 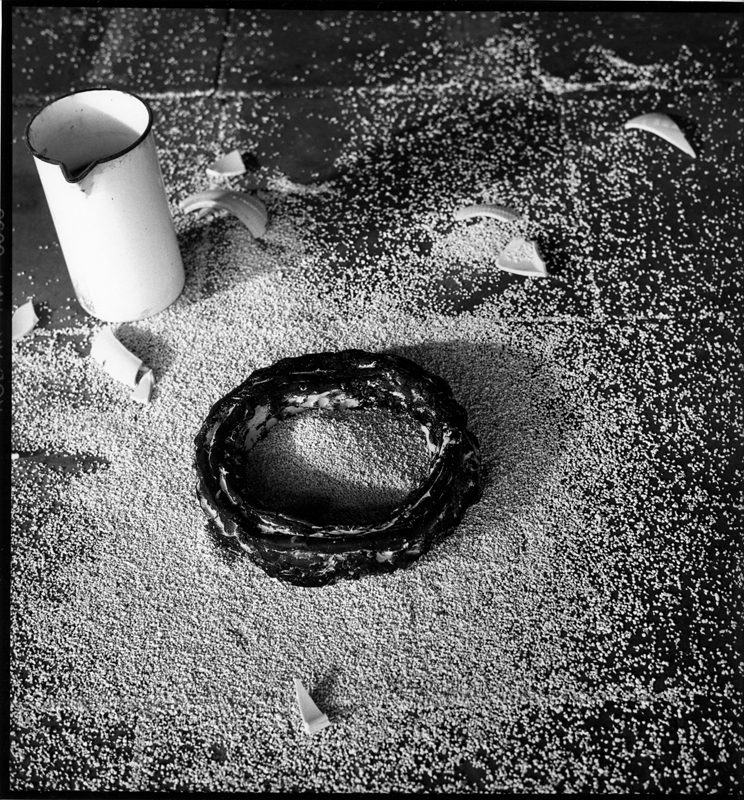 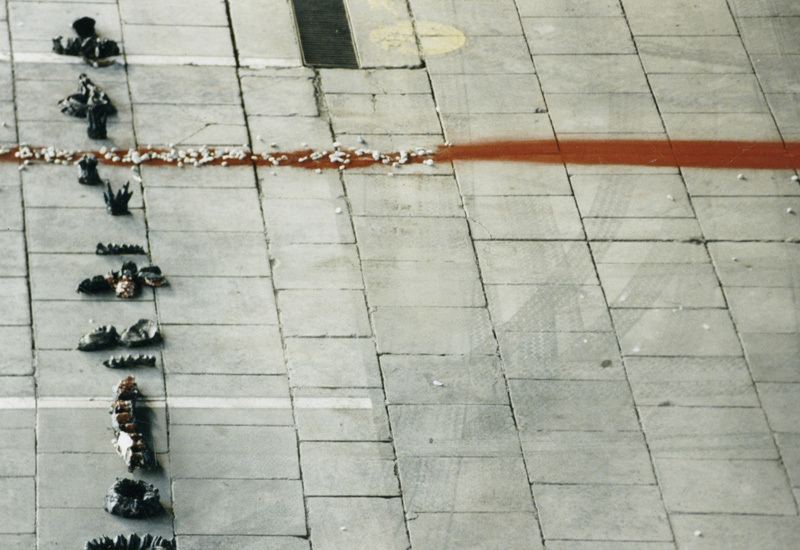 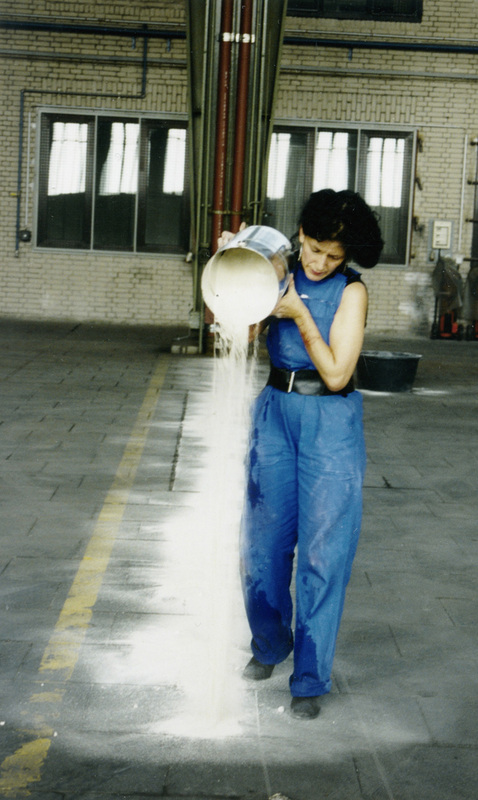 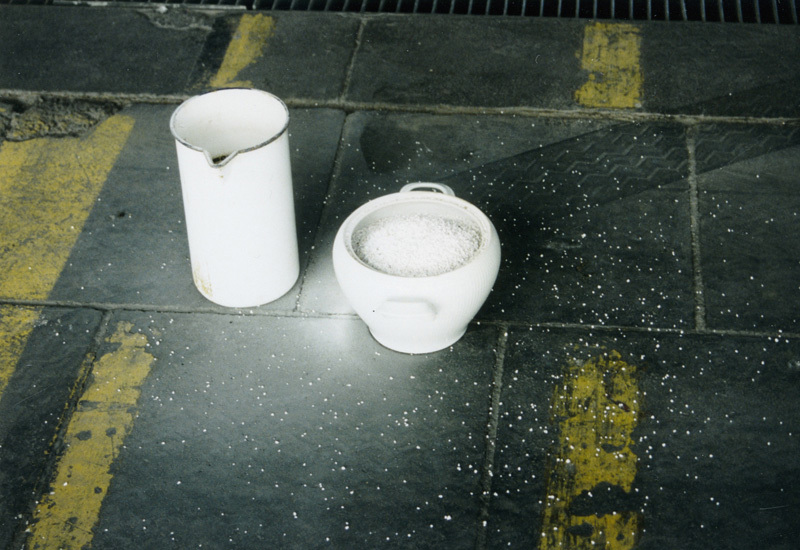 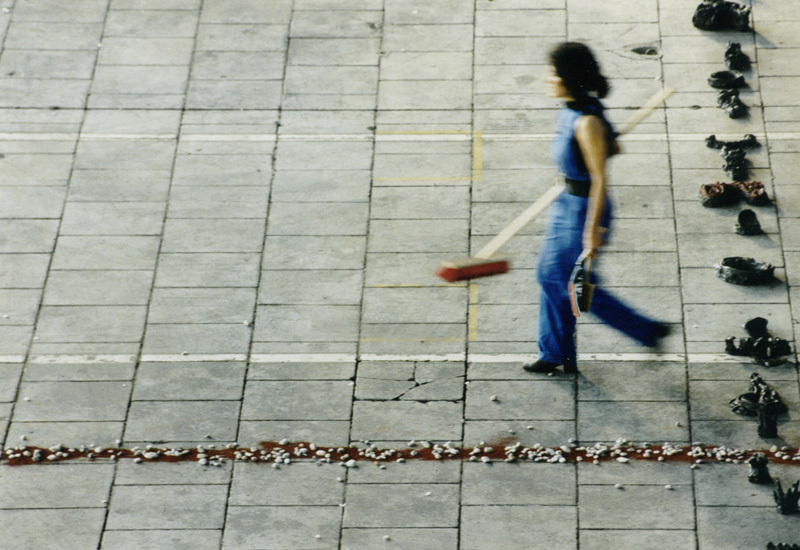 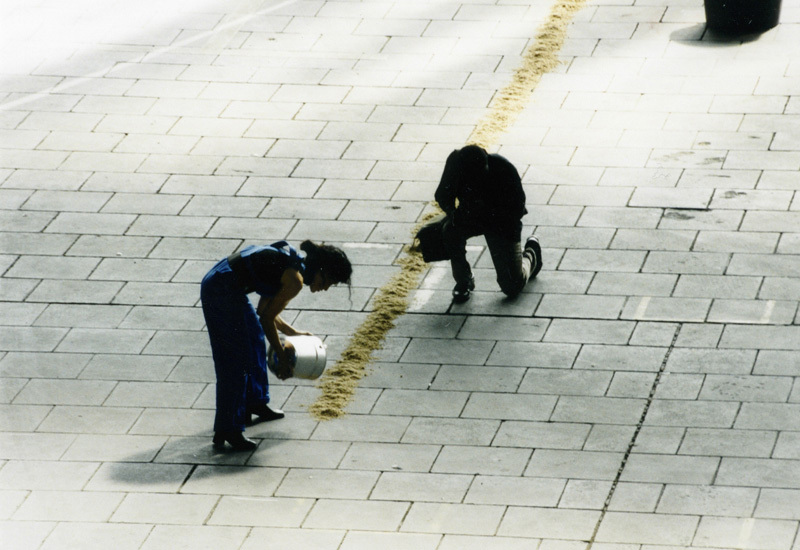 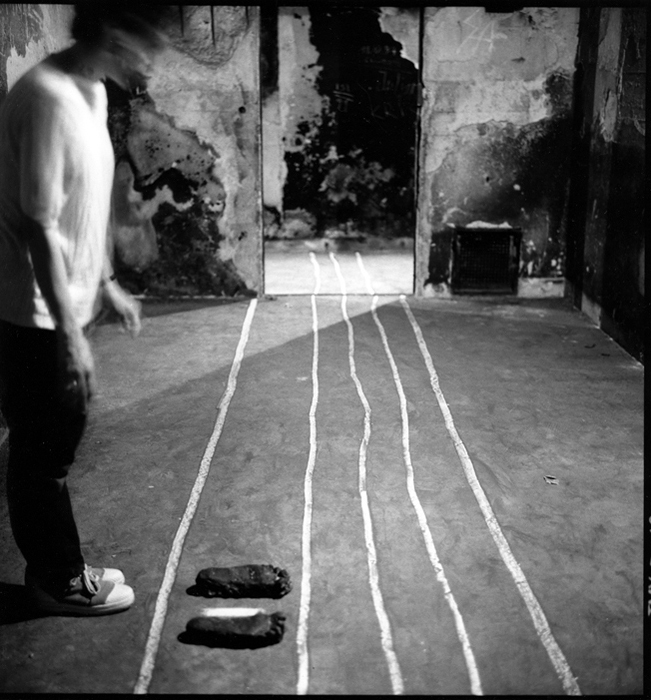 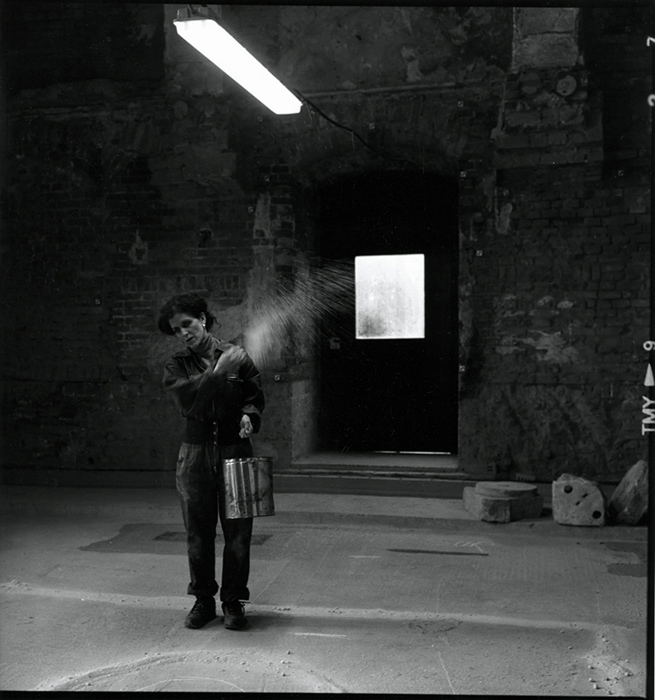 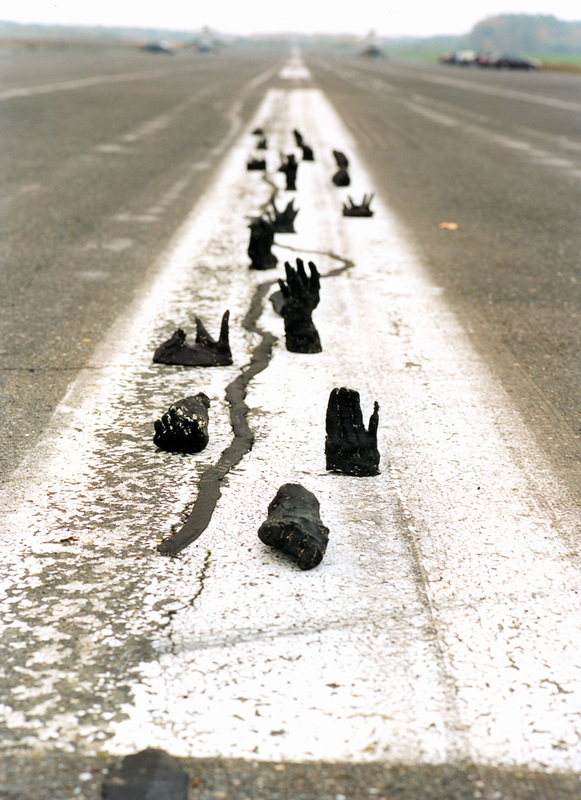 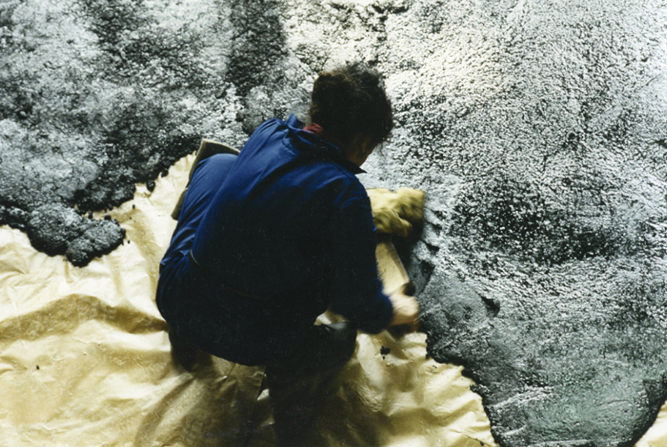 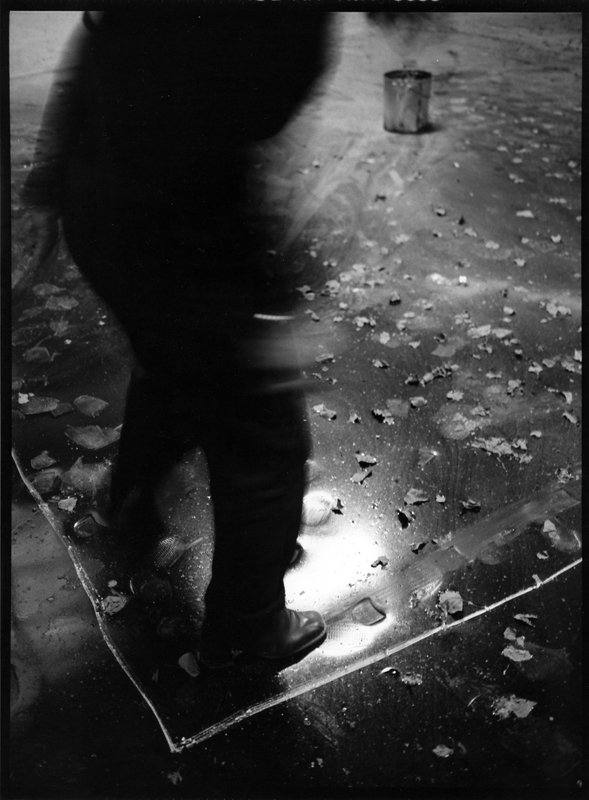 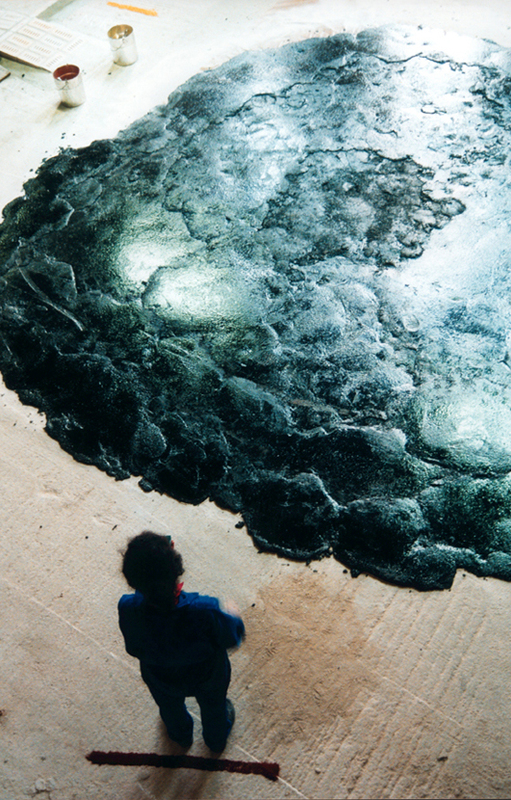 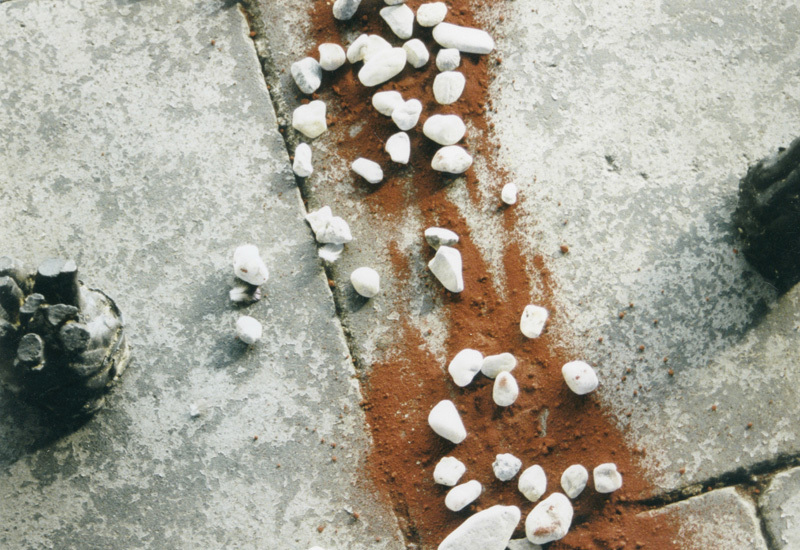 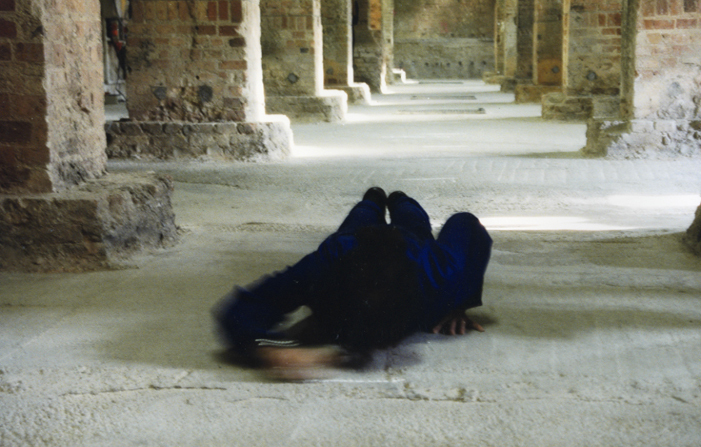 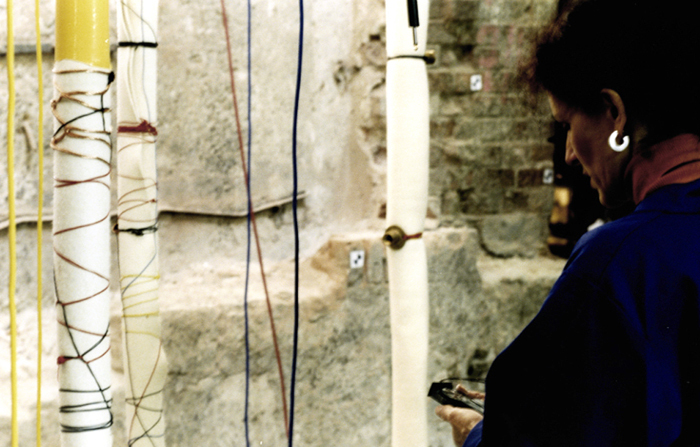 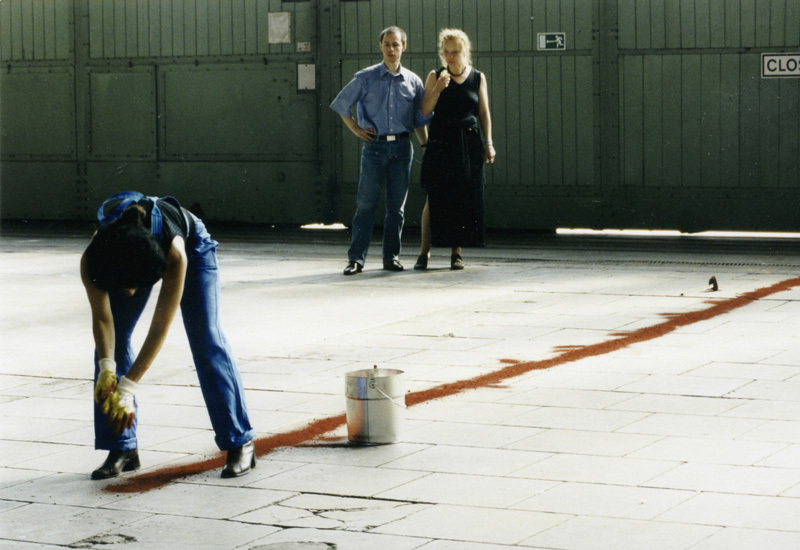 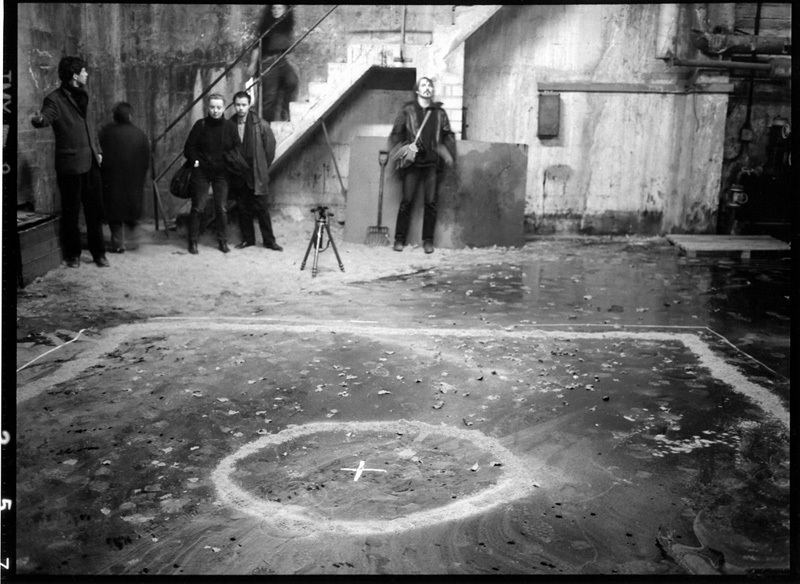 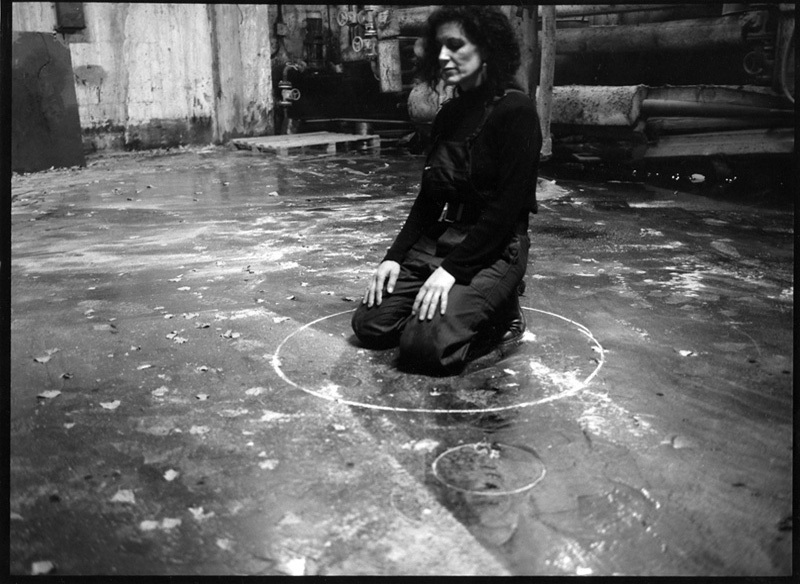 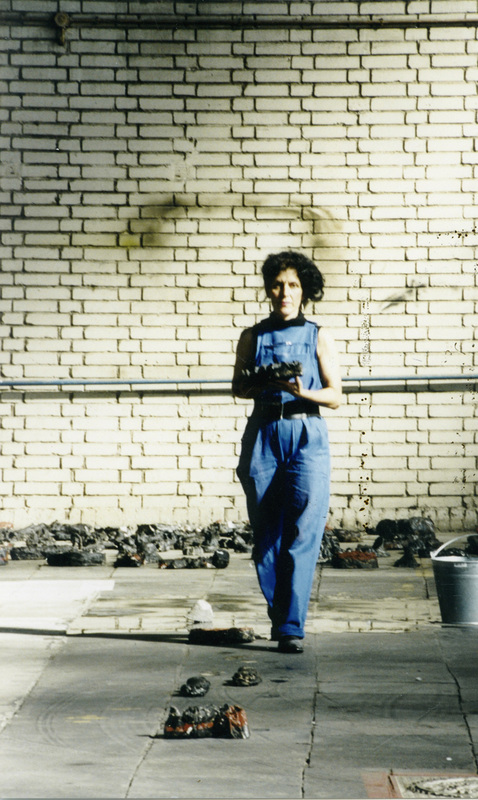 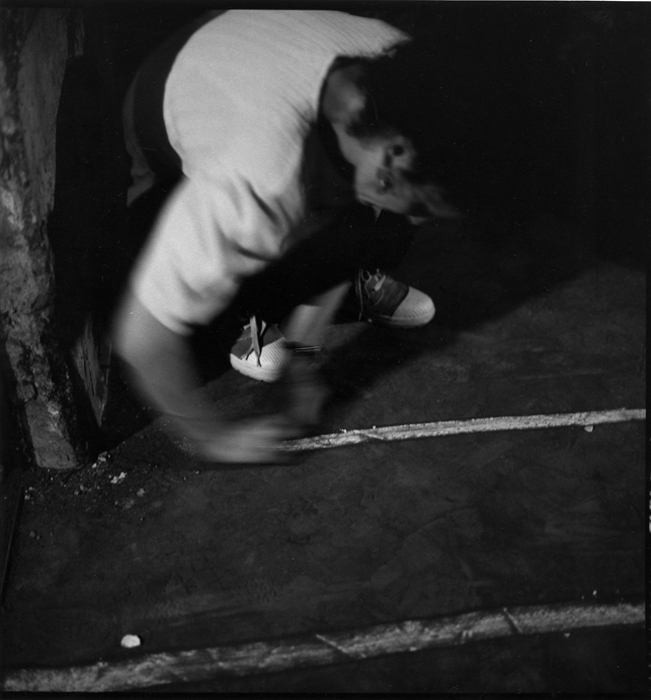 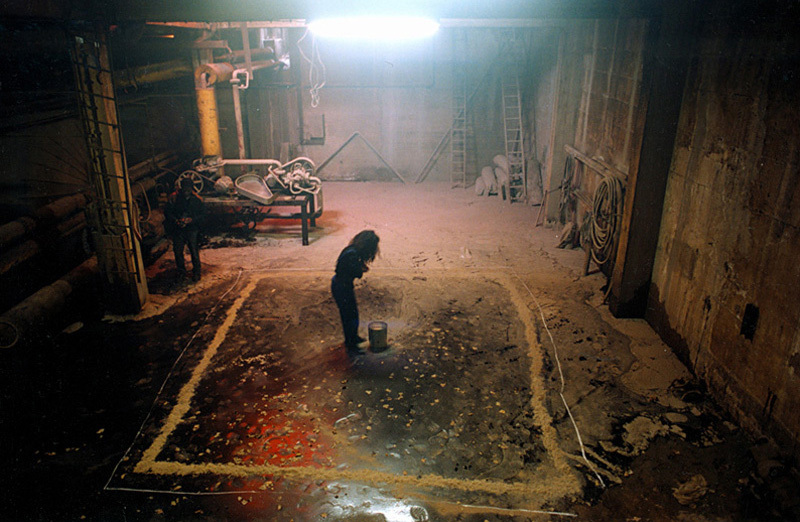 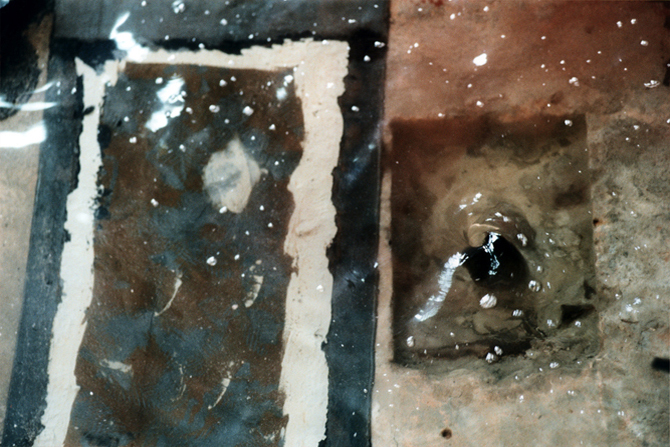 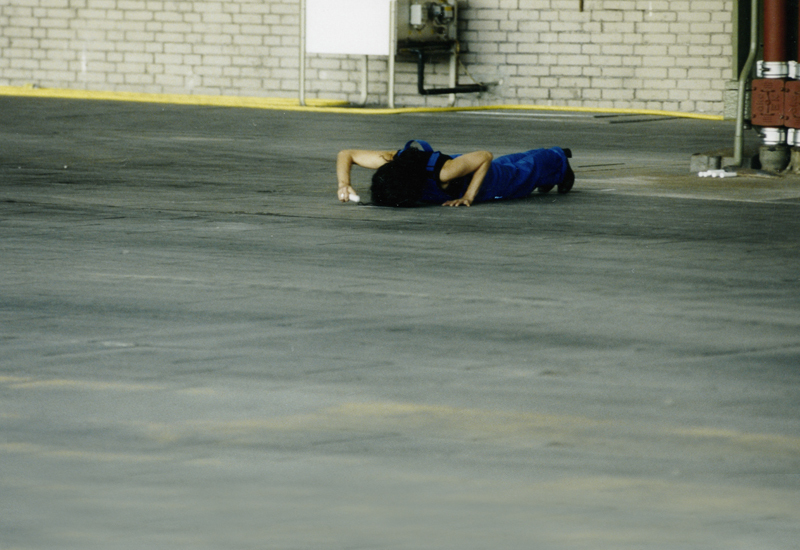 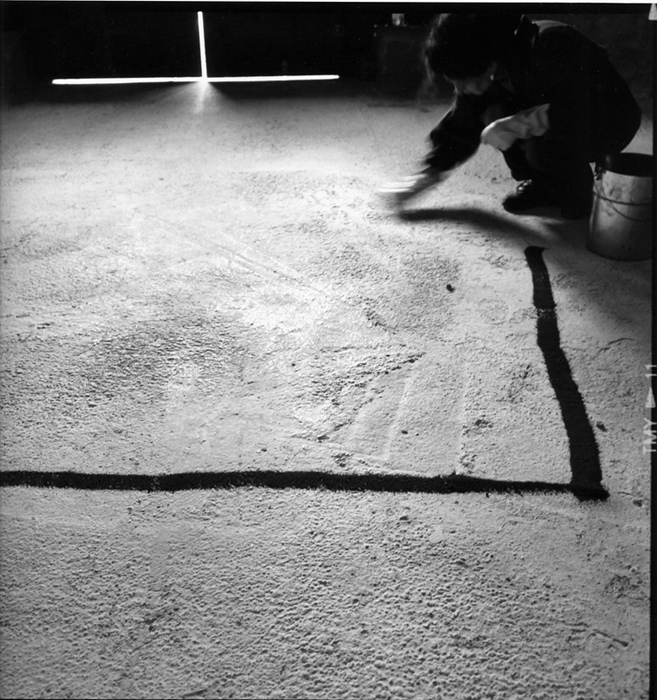 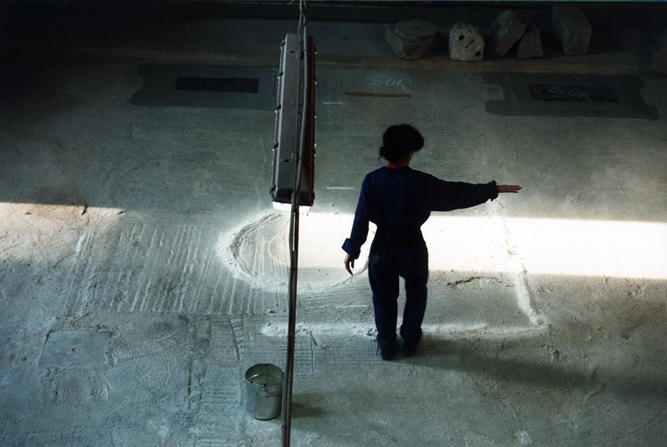 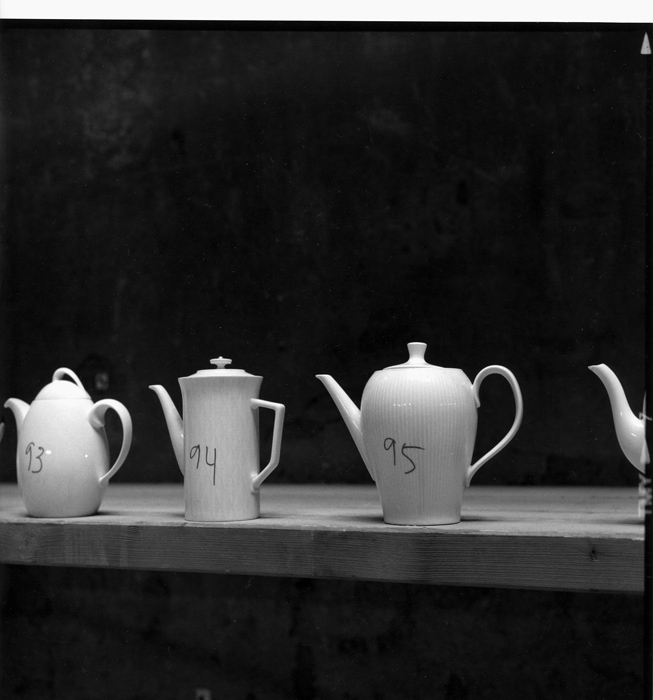 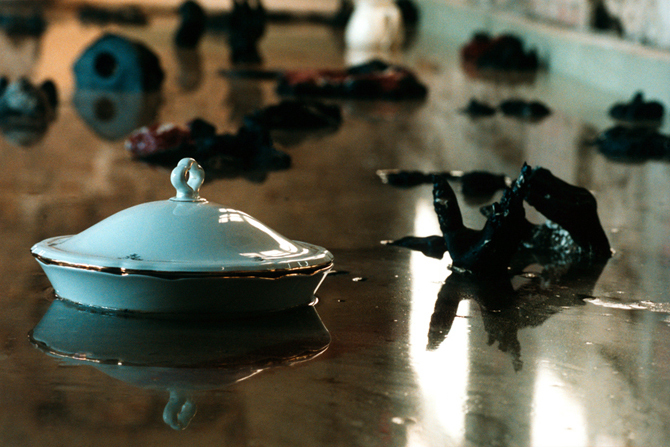 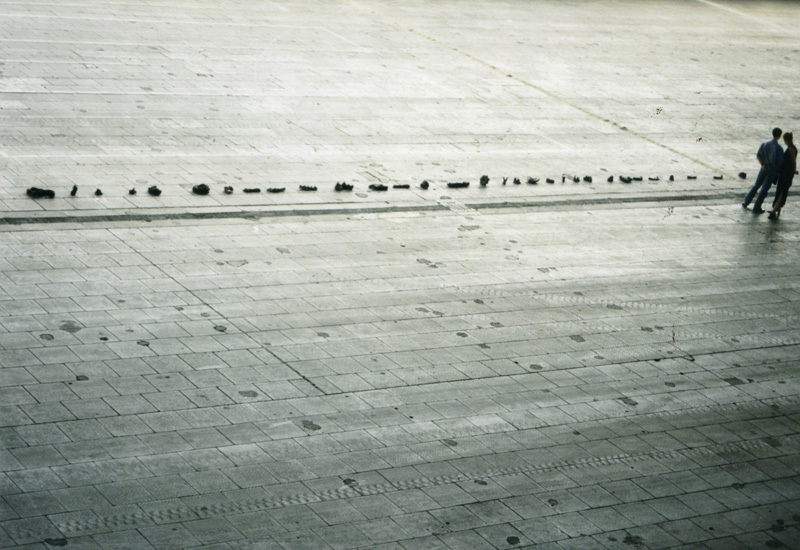 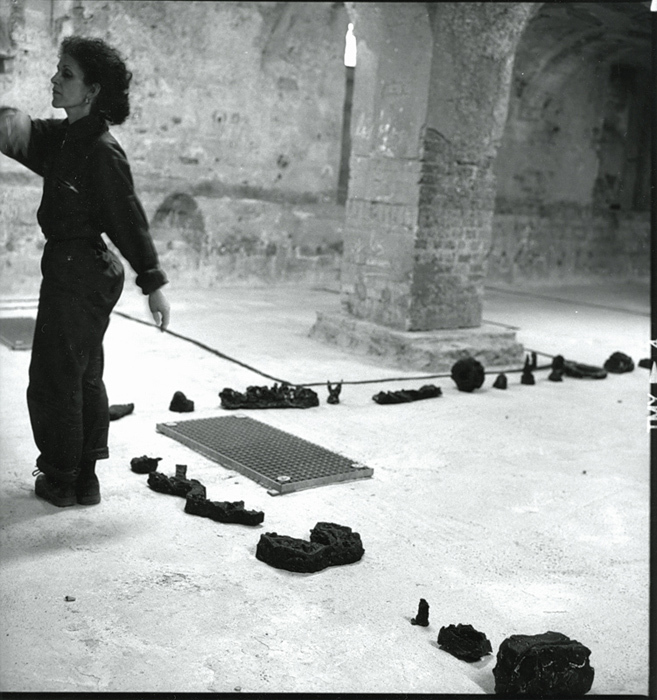 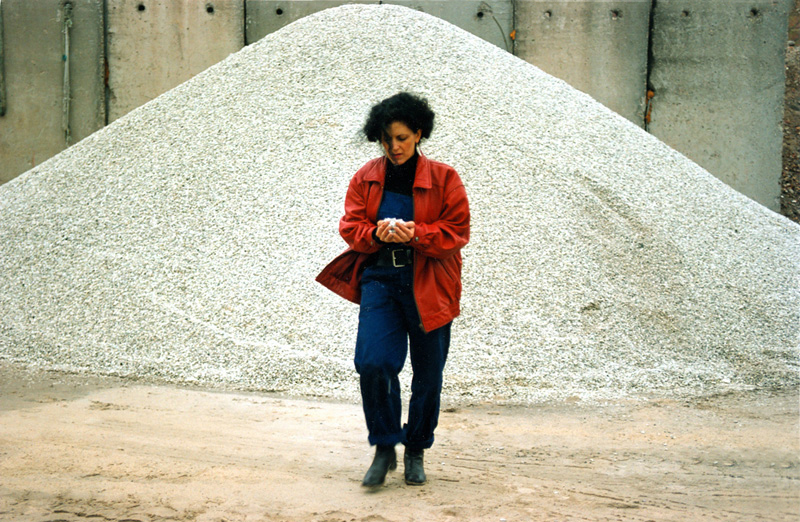 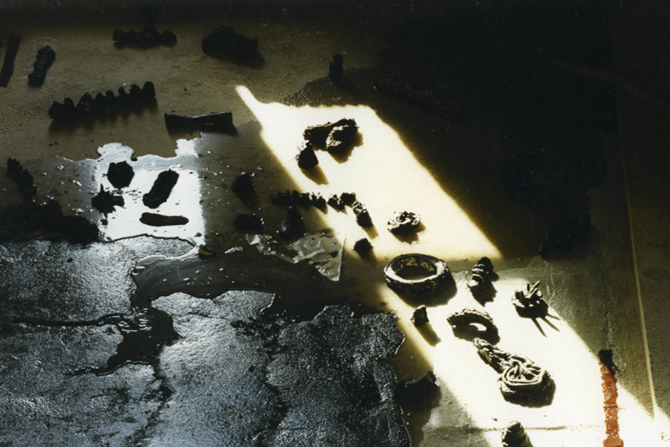 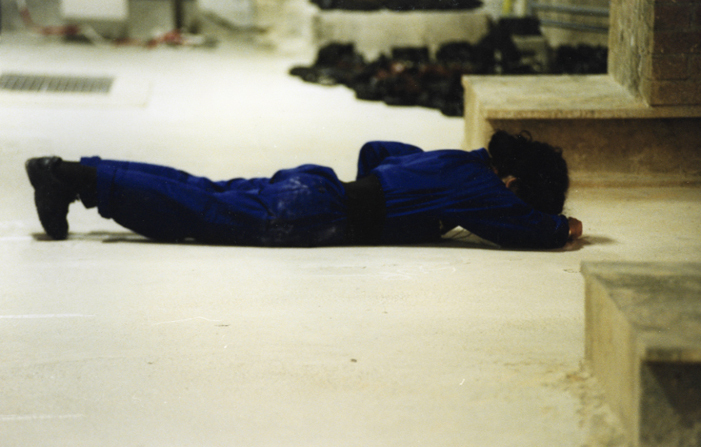 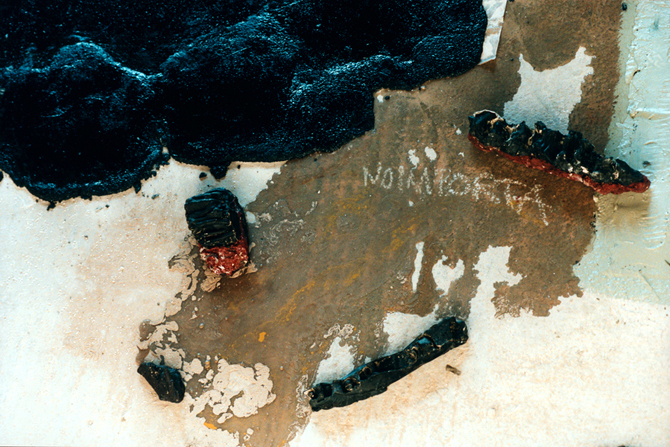 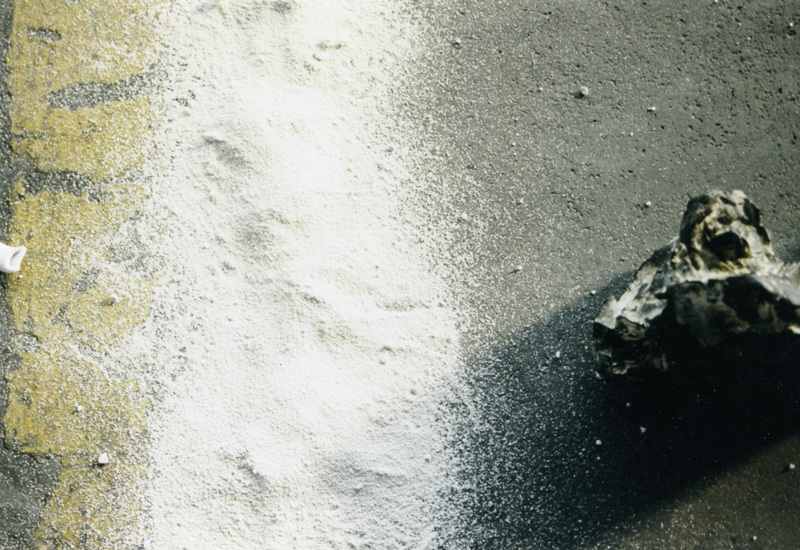 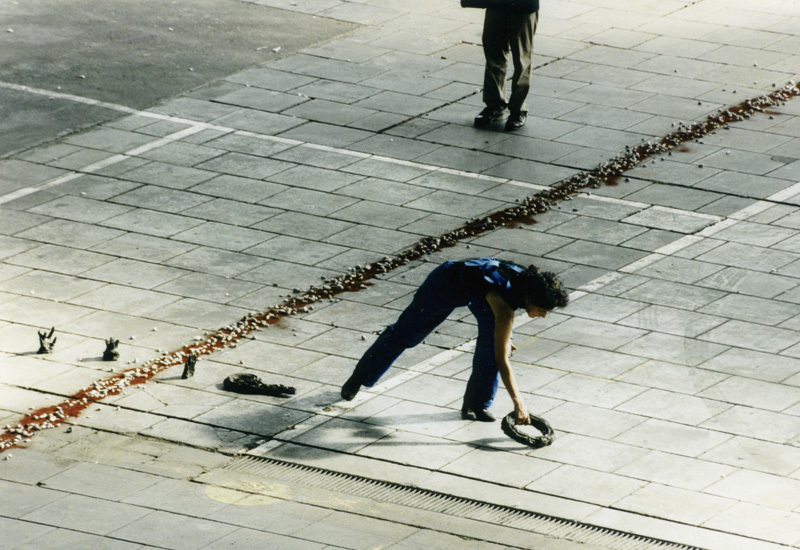 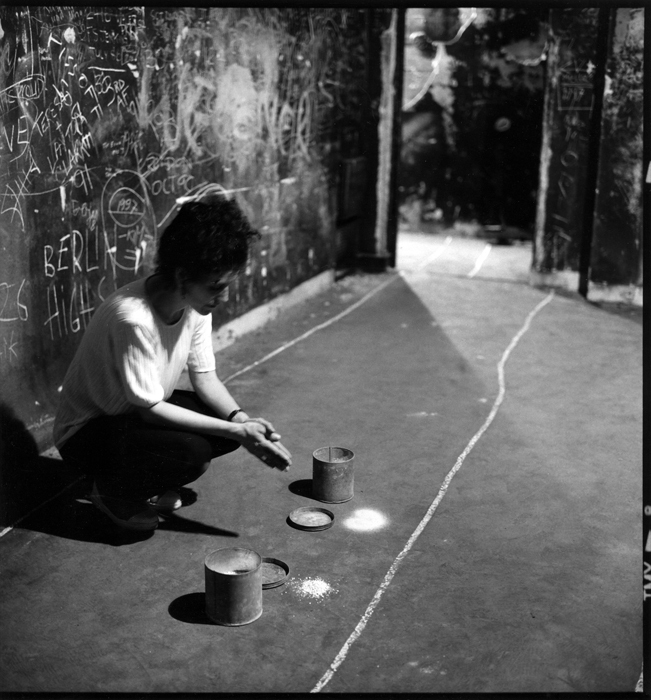 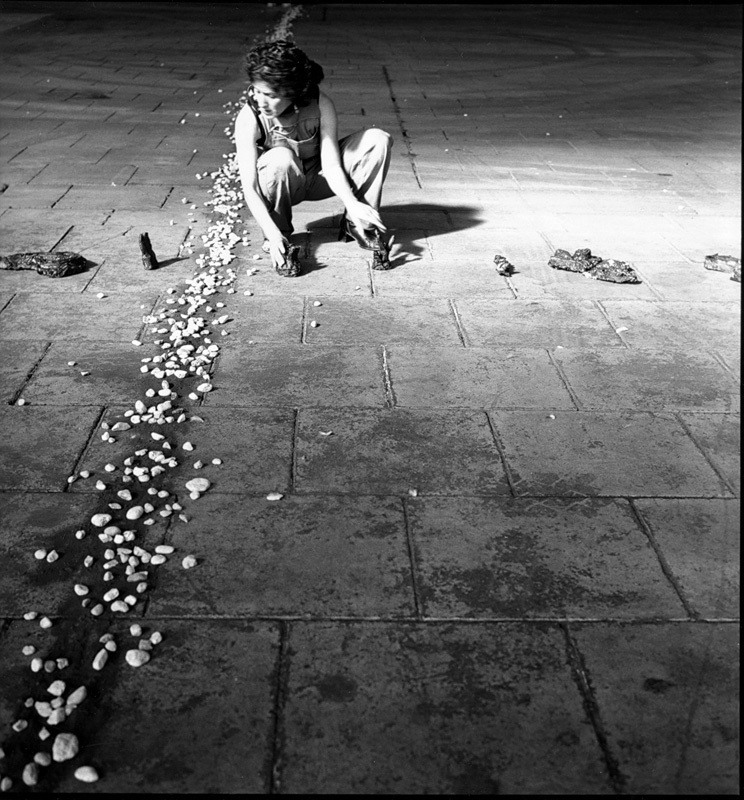 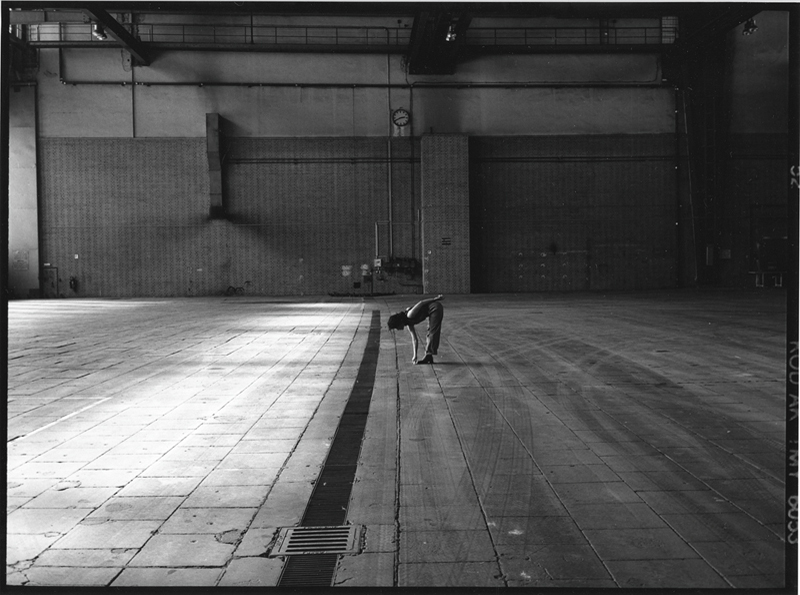 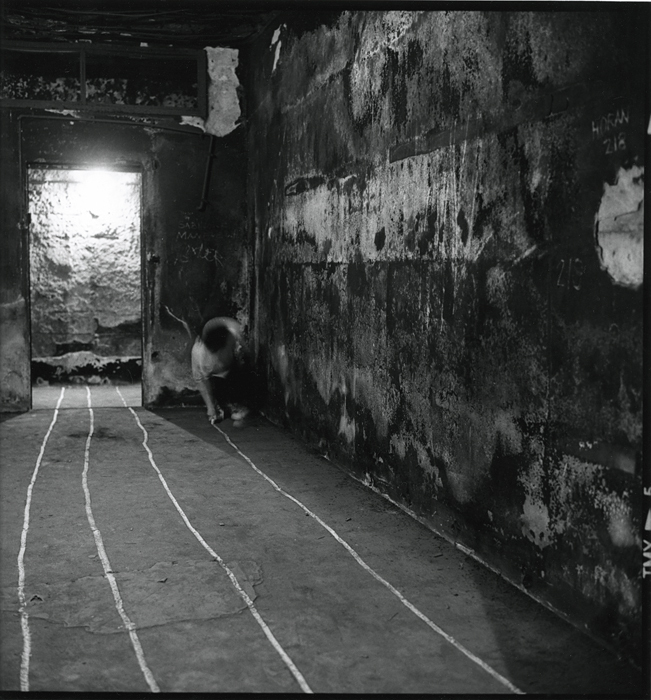 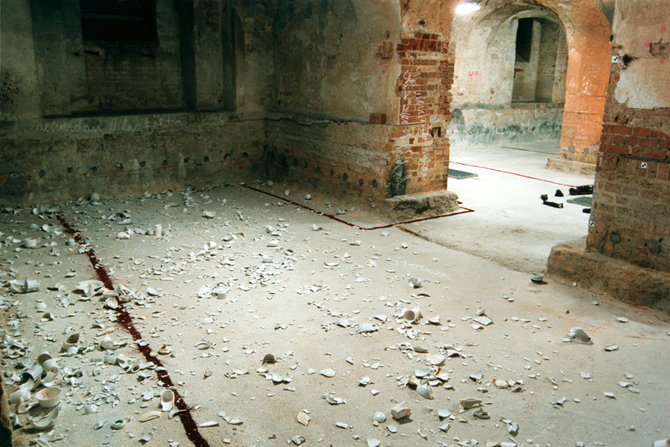 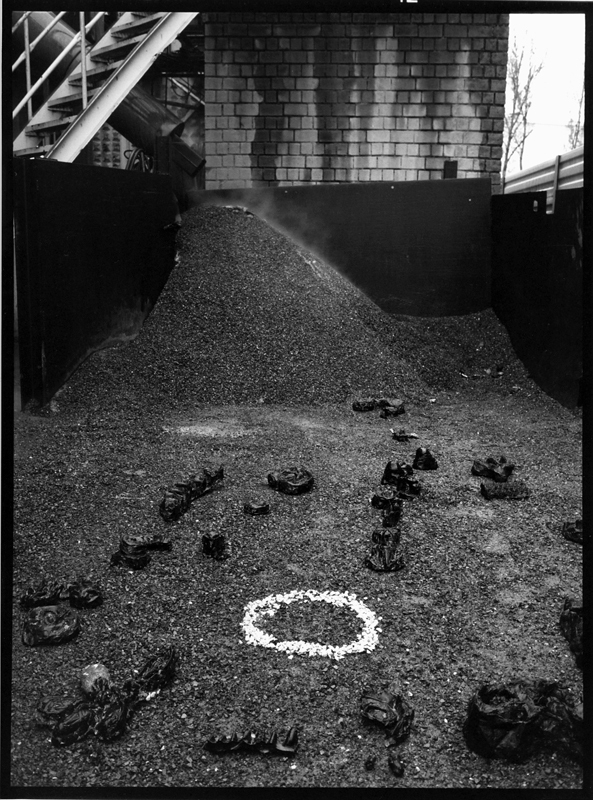 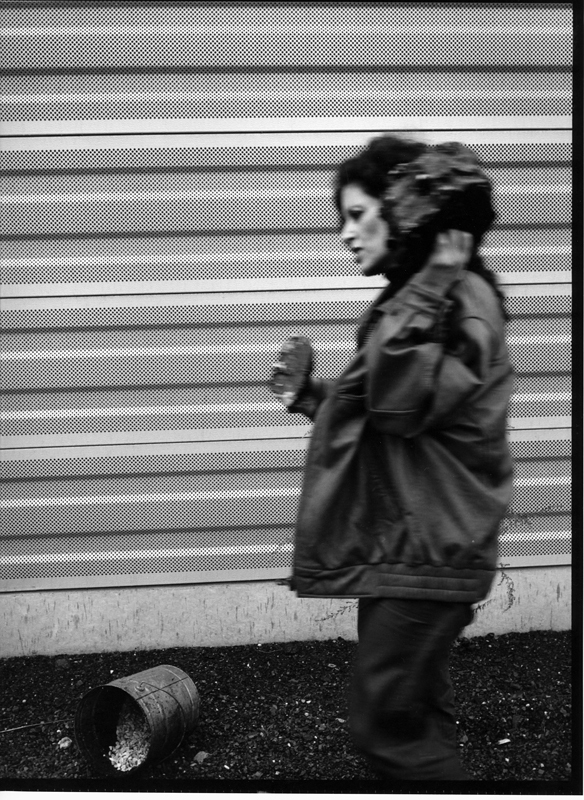 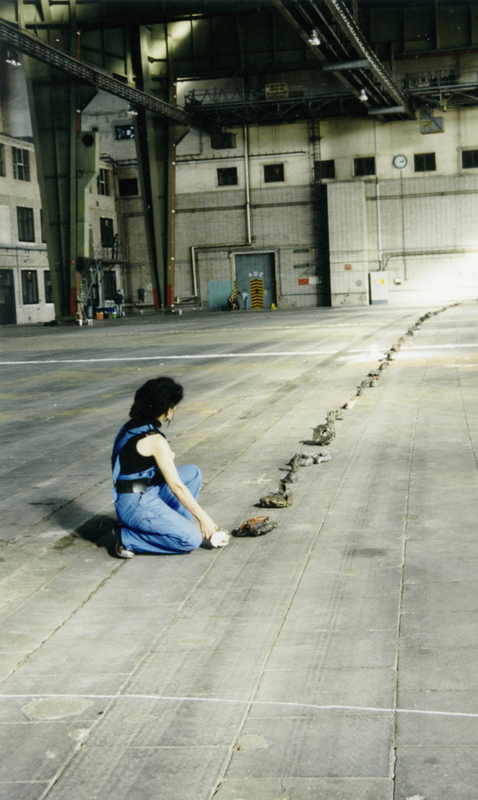 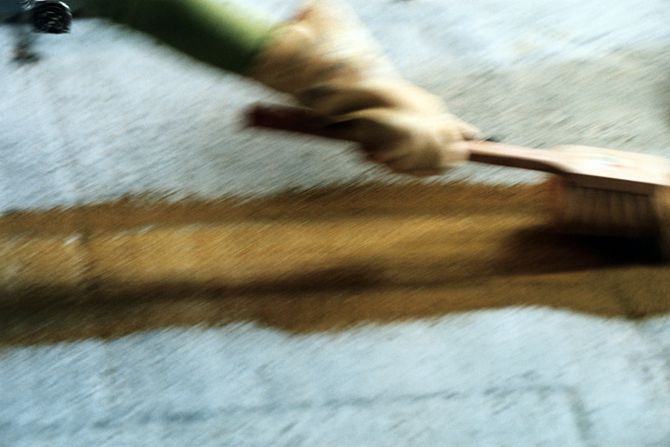 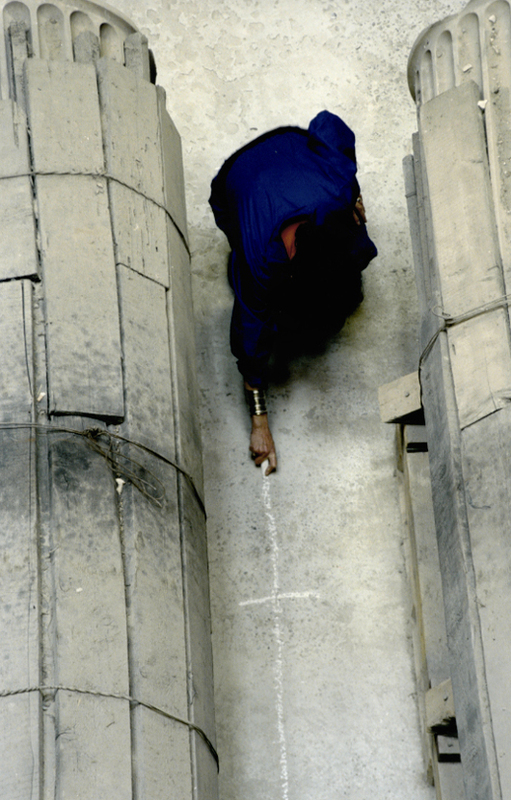 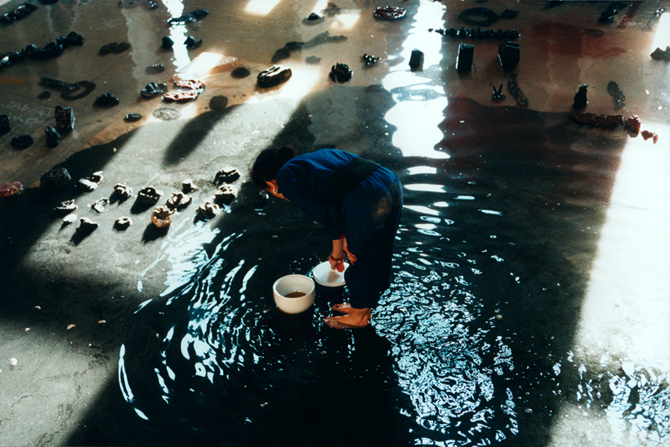 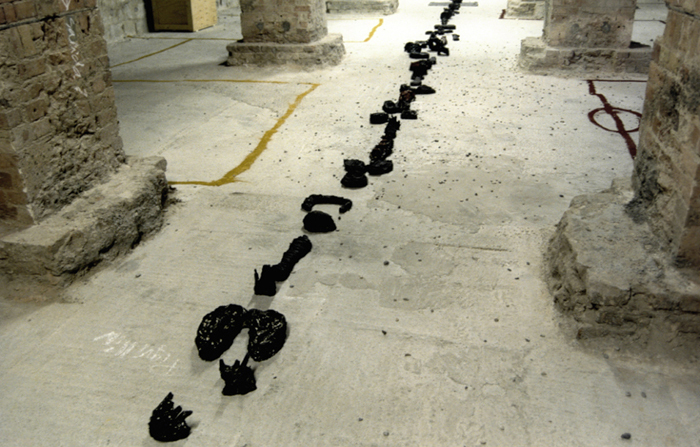 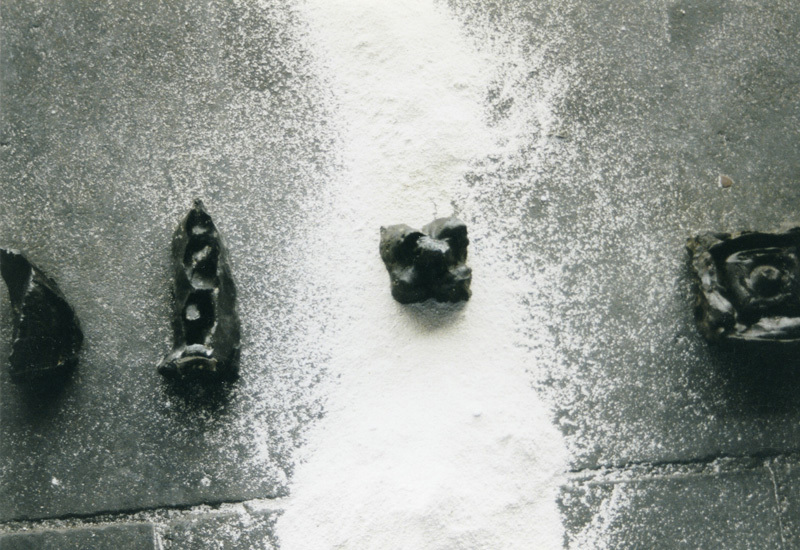 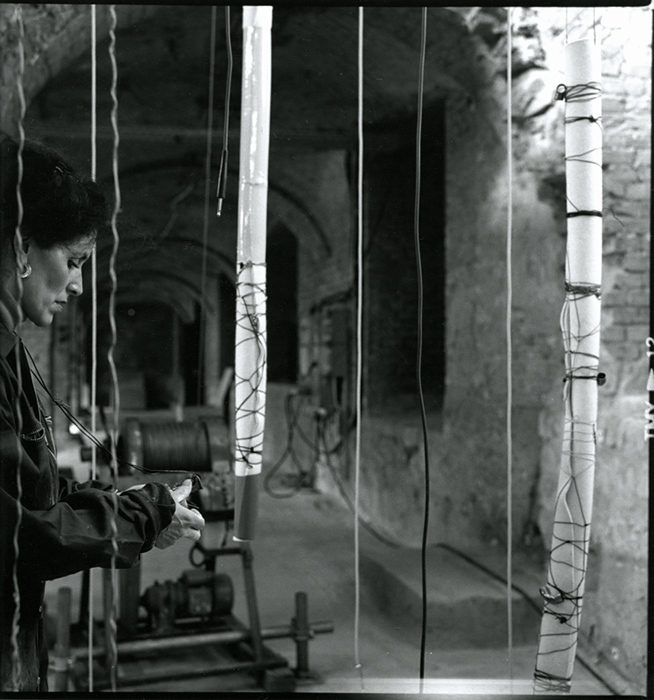 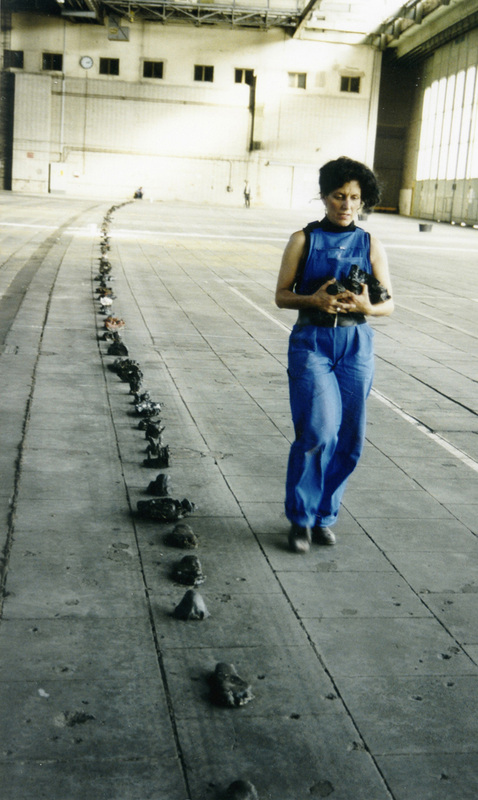 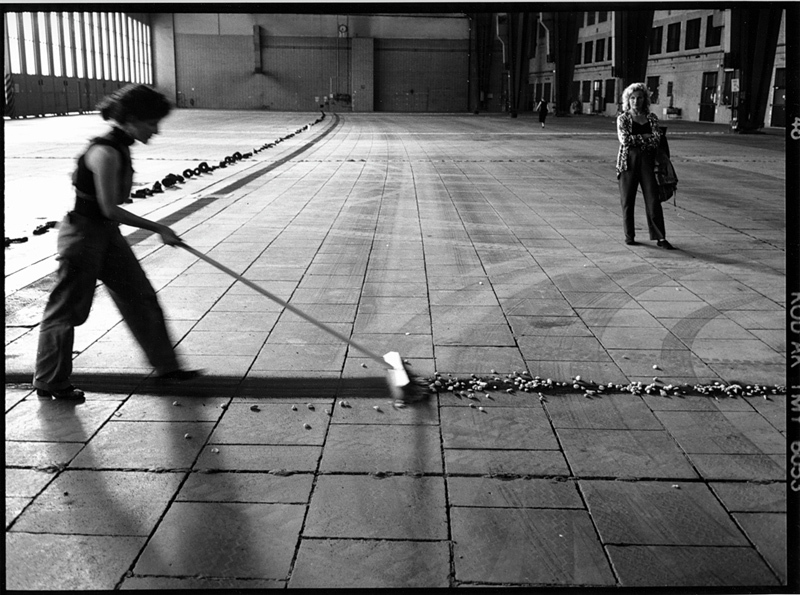 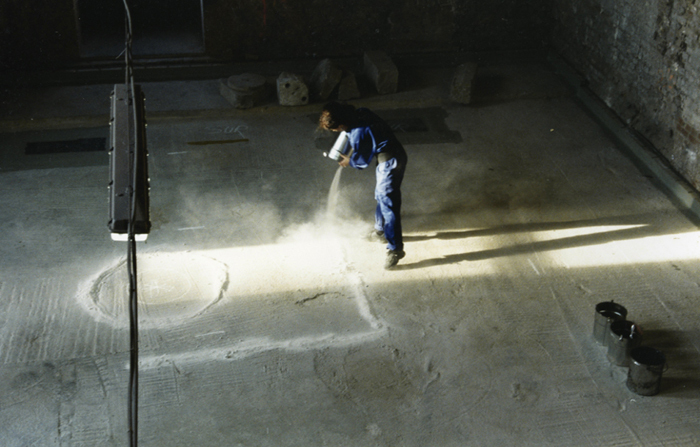 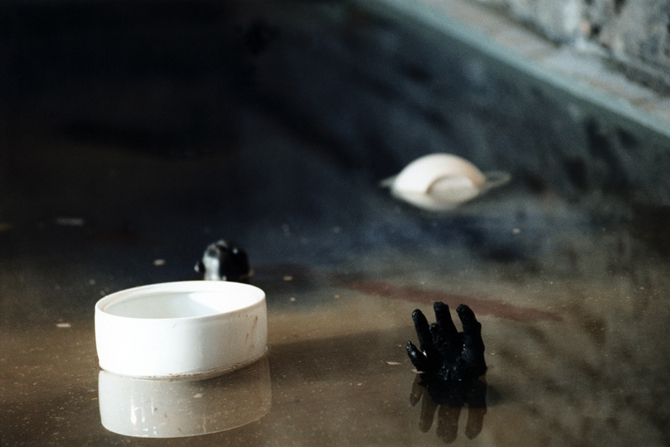 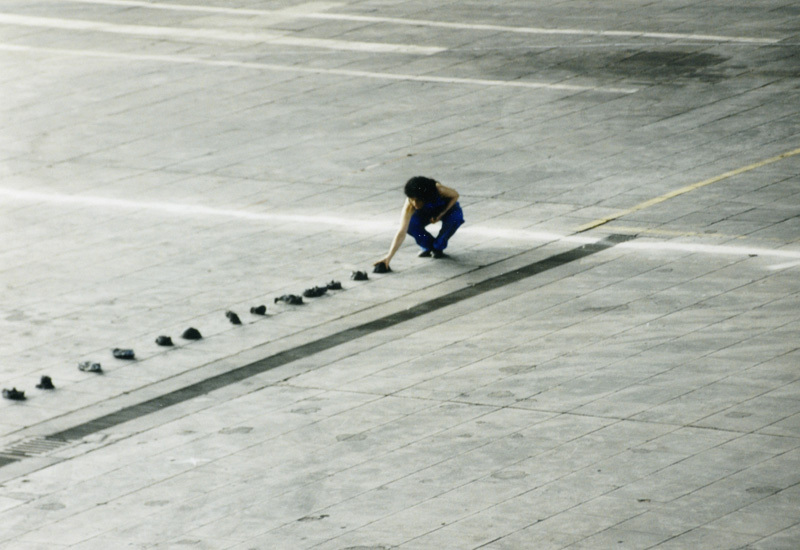 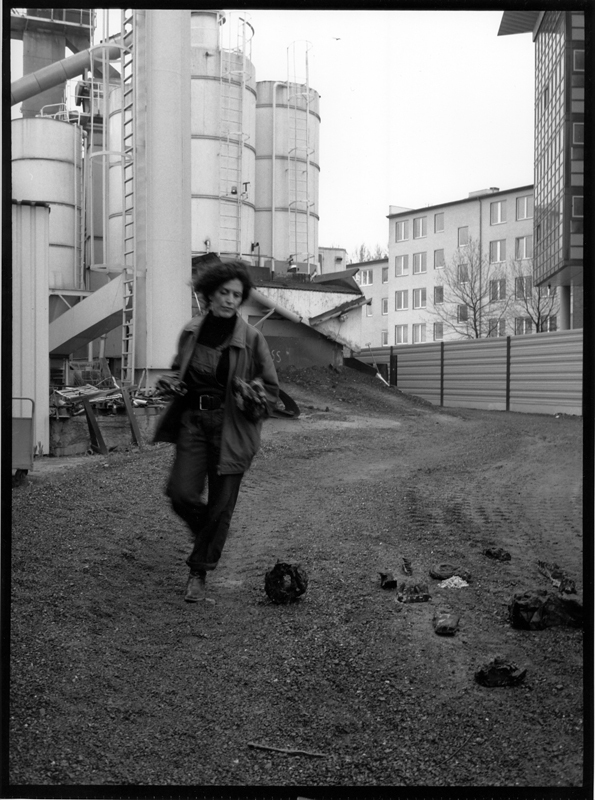 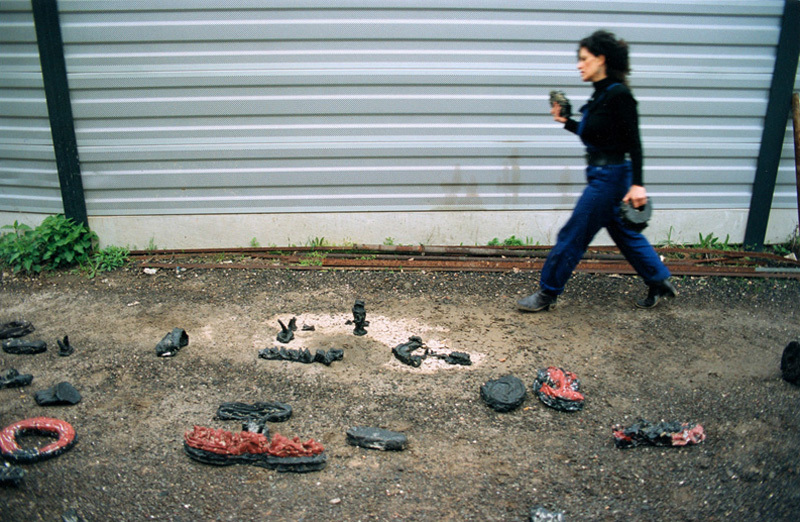 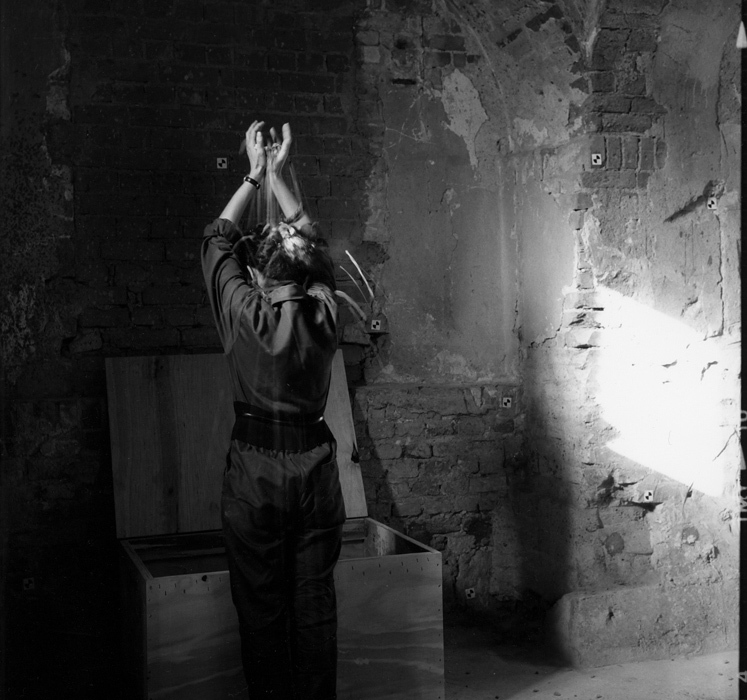 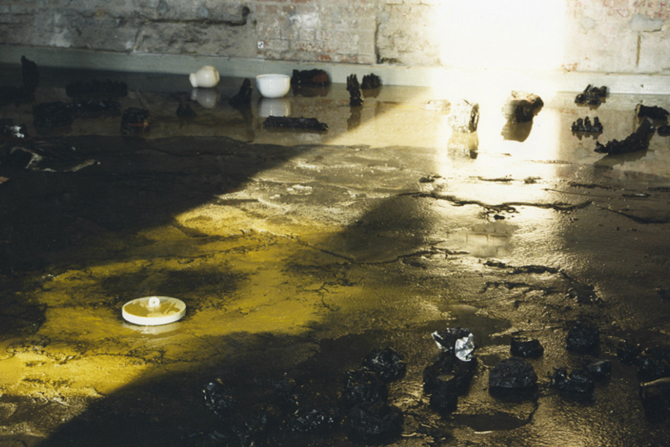 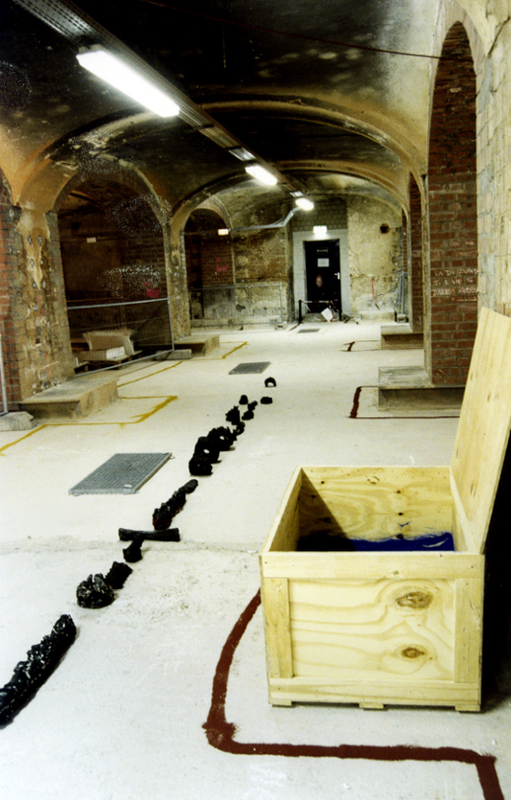 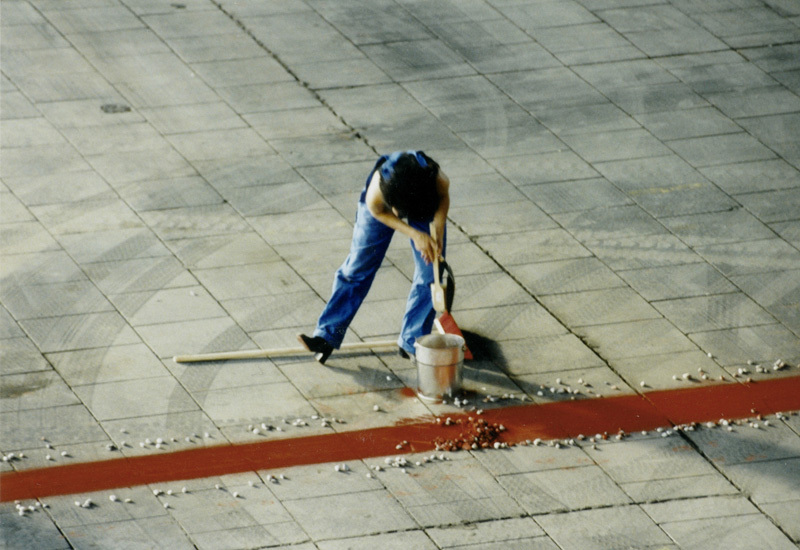 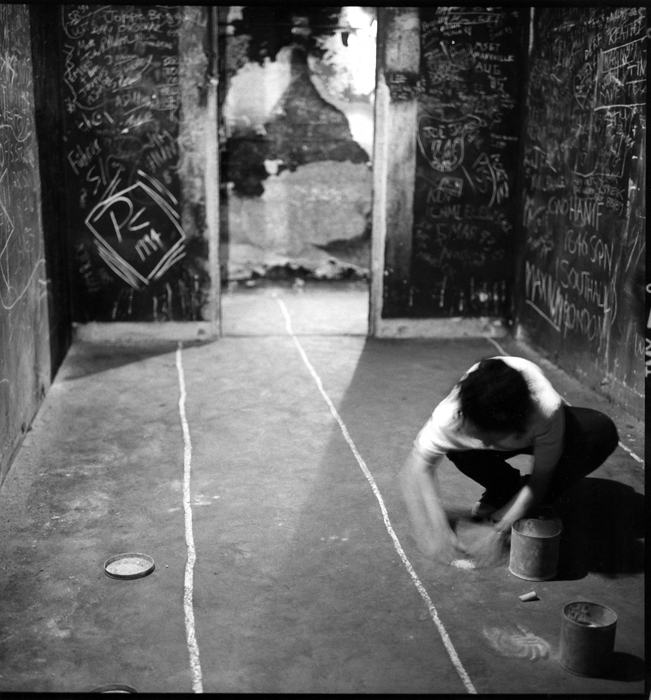 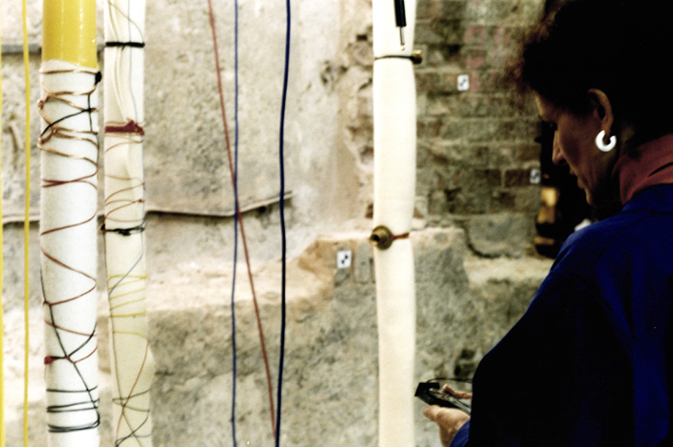 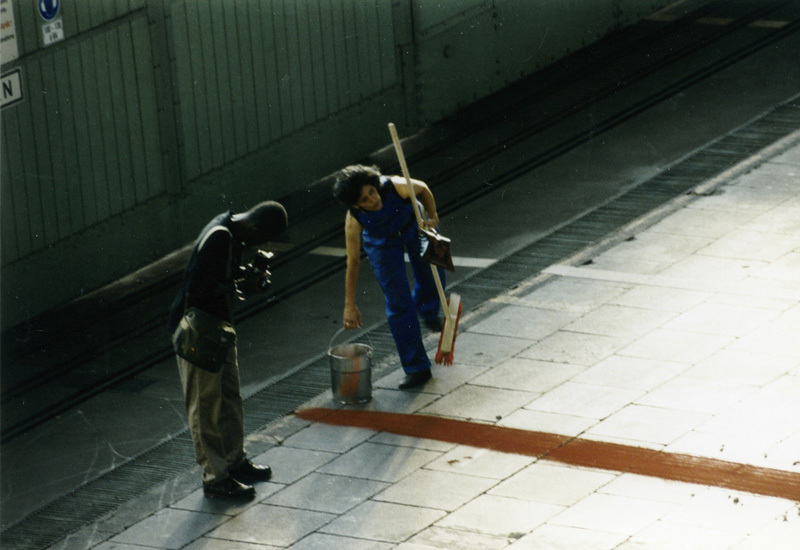 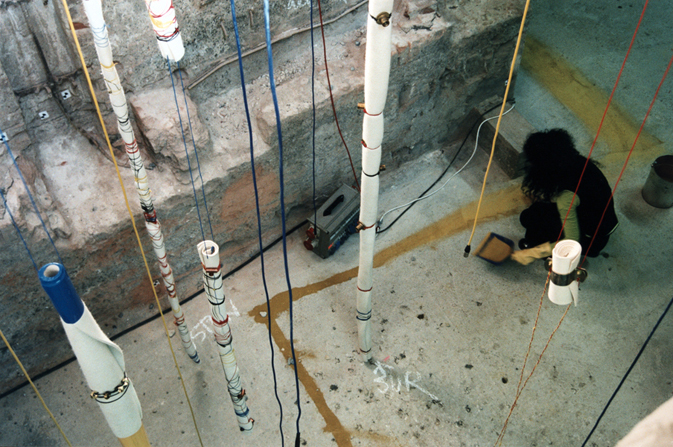 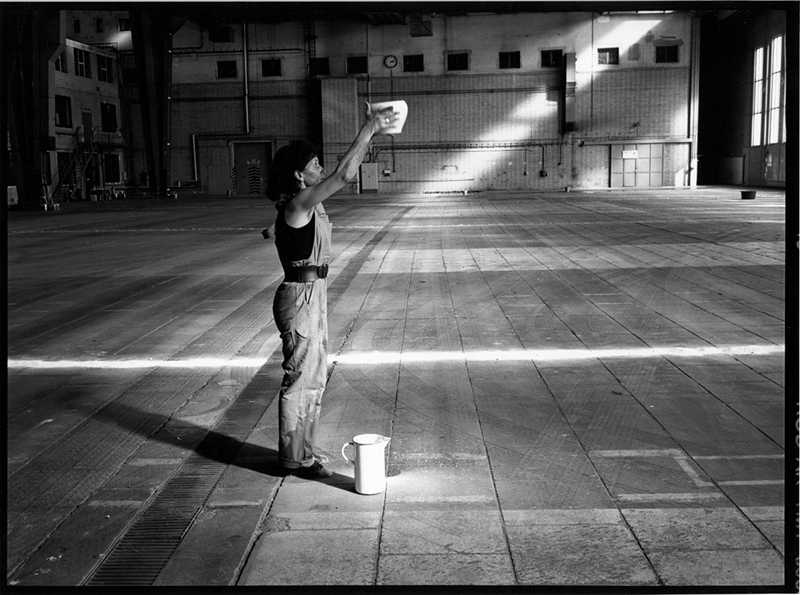 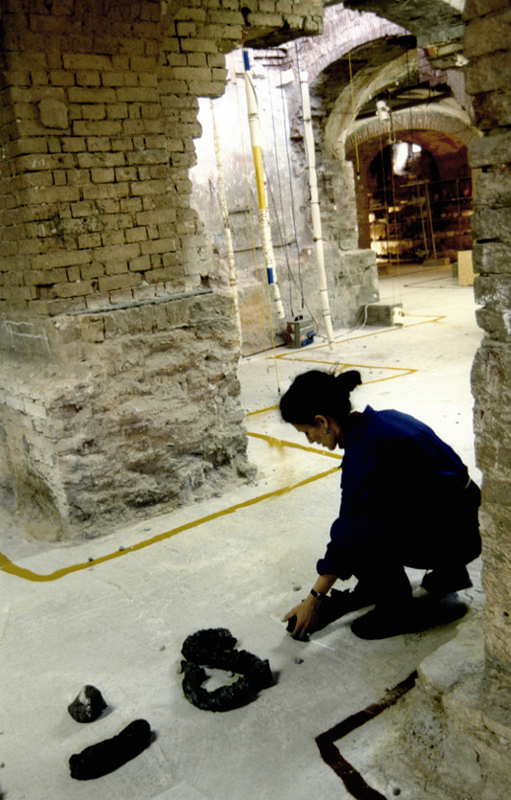 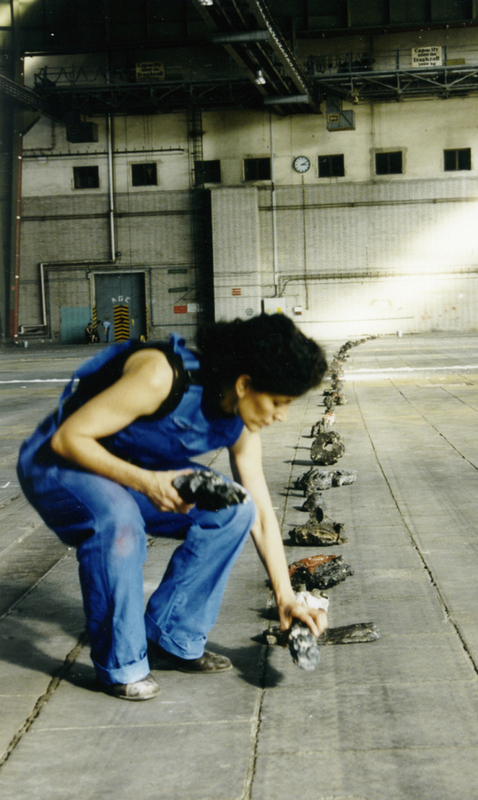 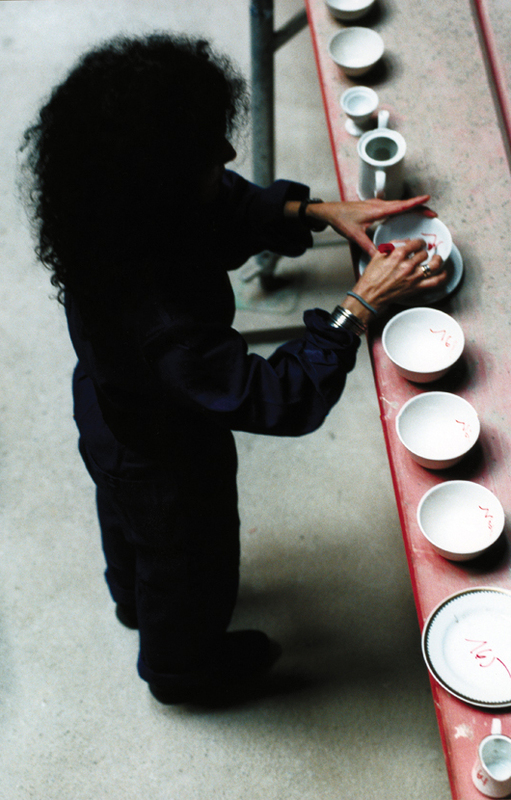 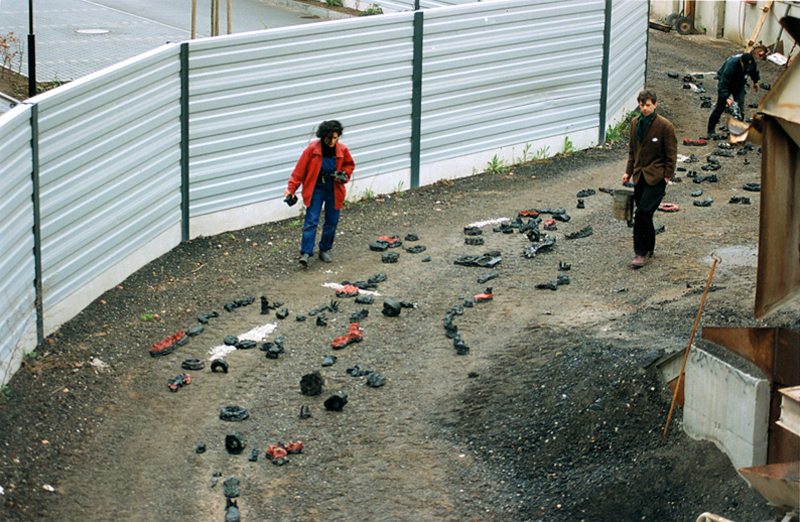 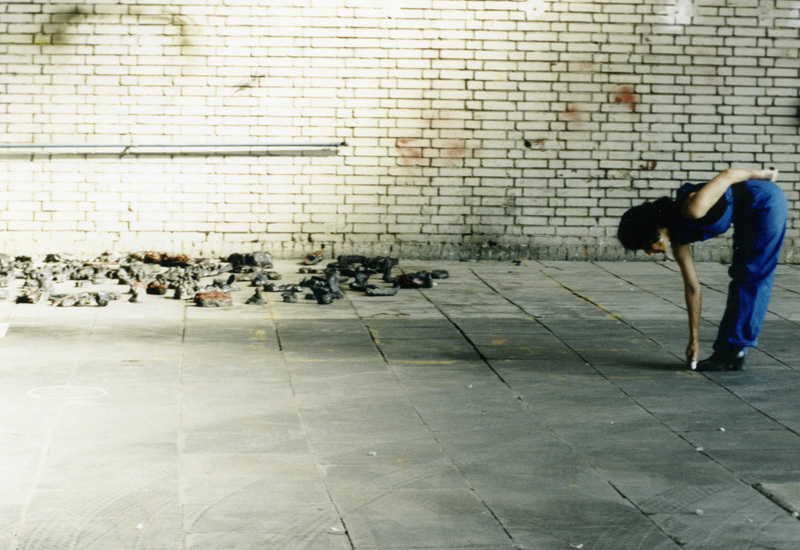 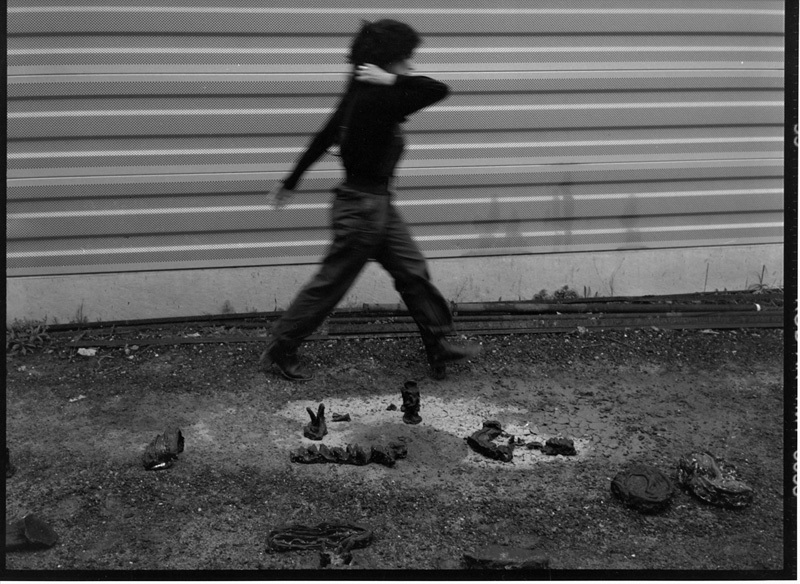 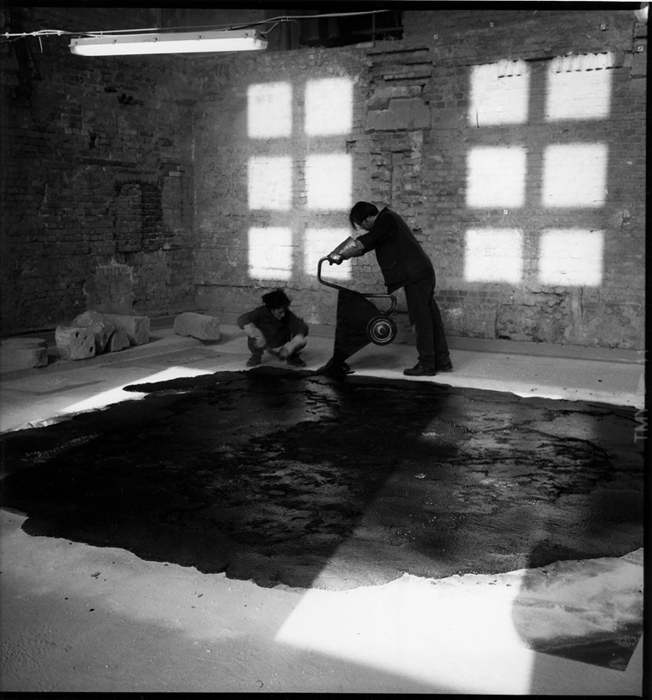 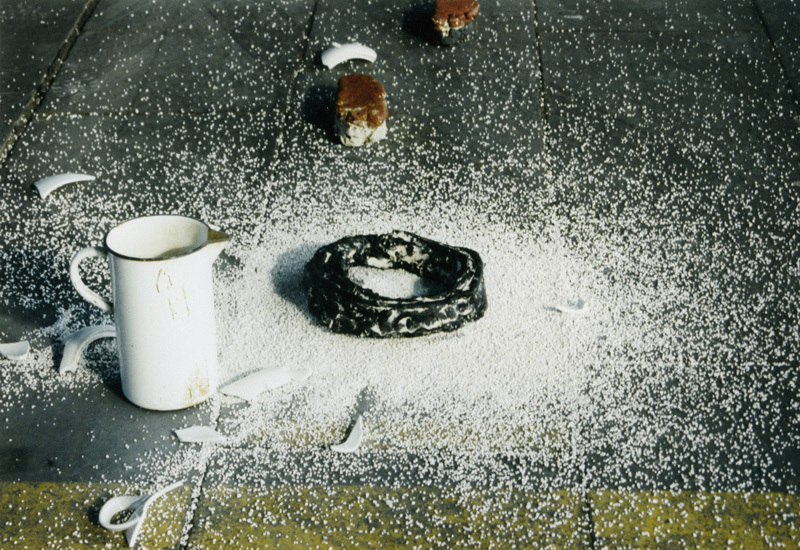 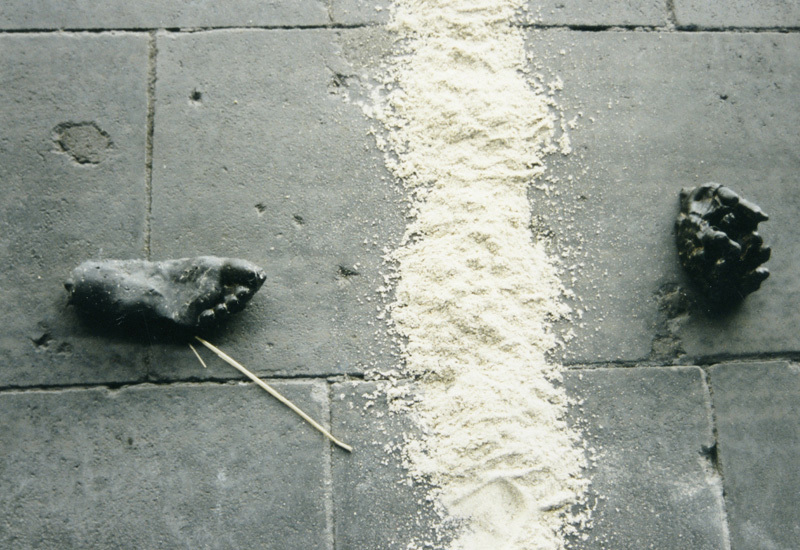 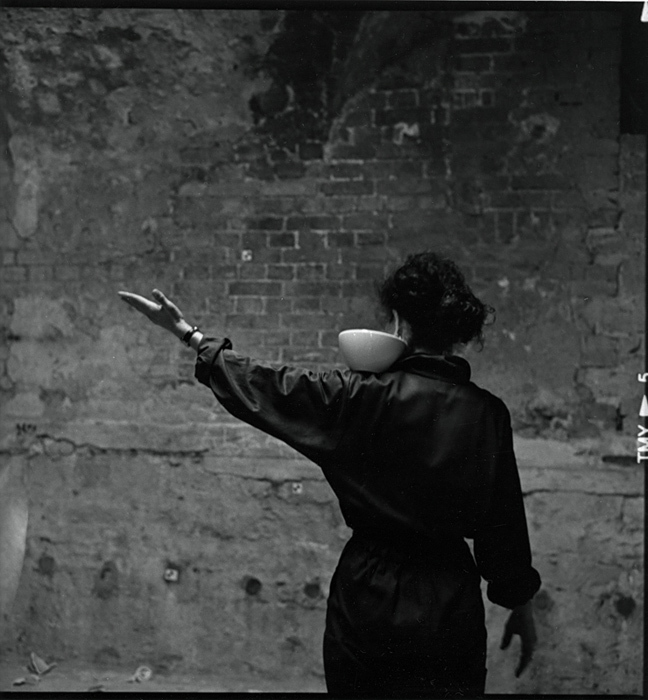 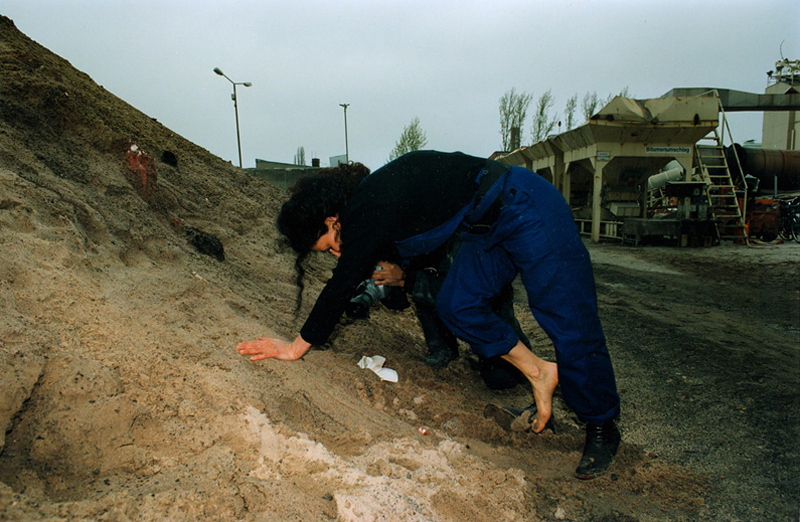 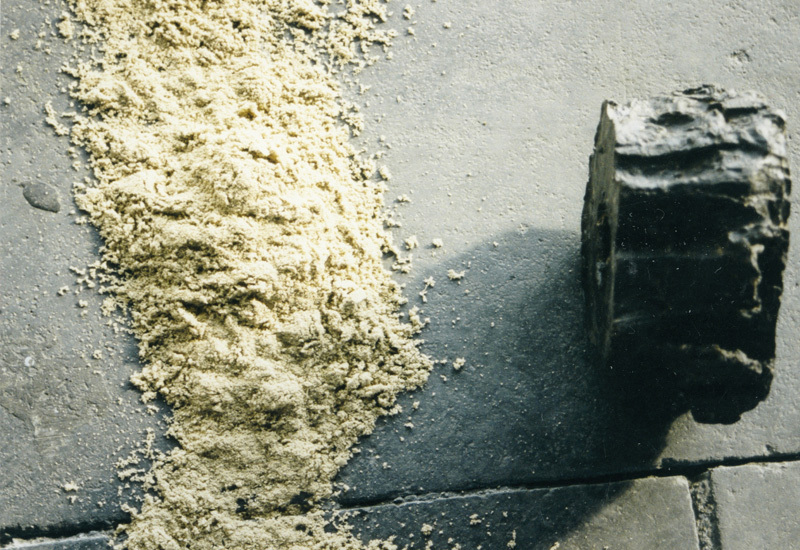 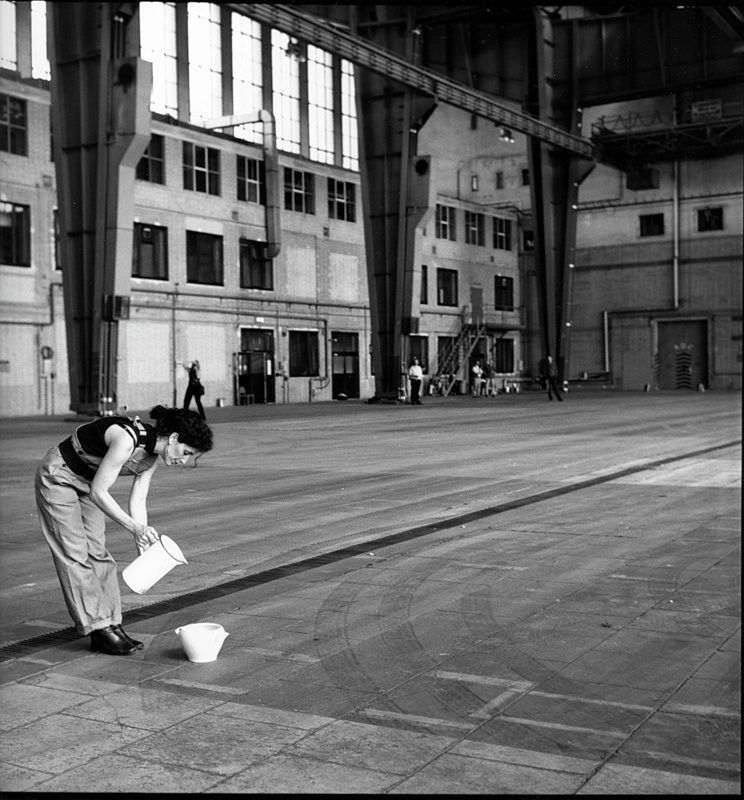 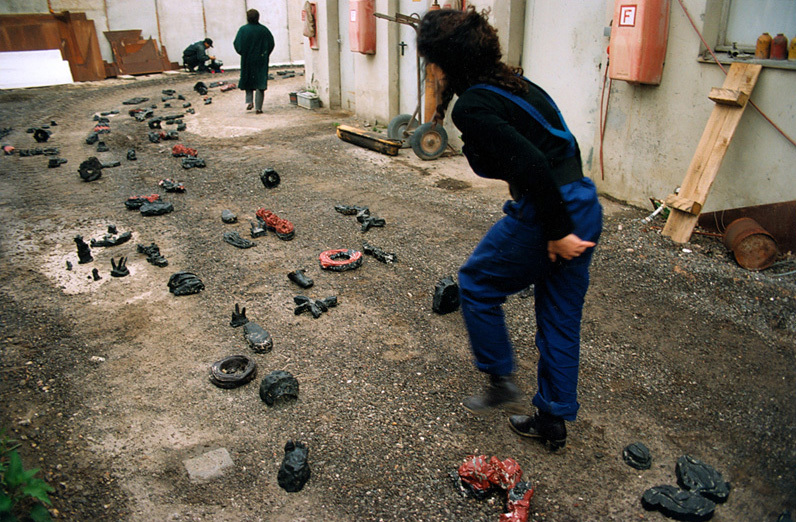 Celia Caturelli worked on a series of ‘work-in-progress’ interventions and performances between 1996 and 2000. 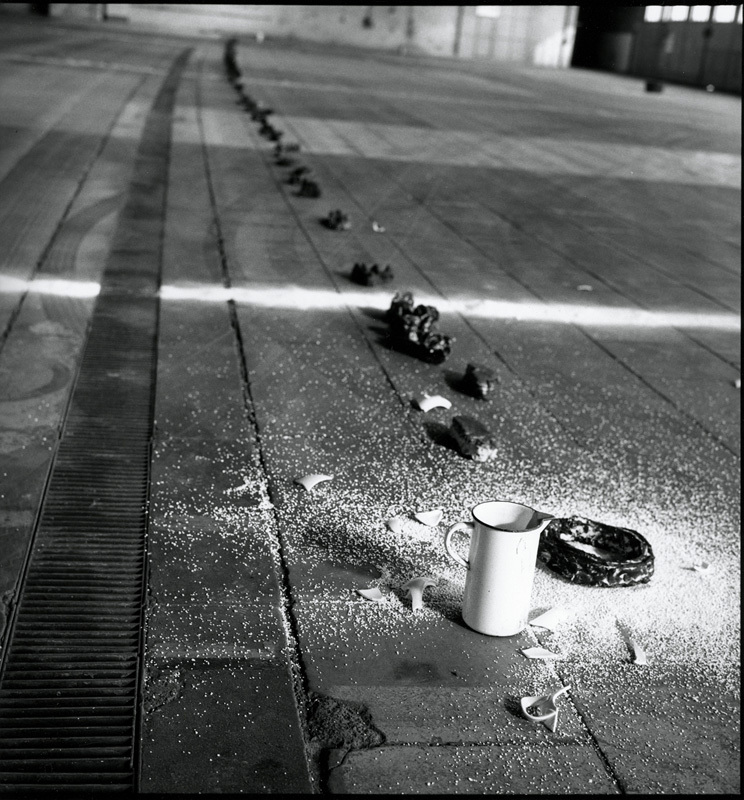 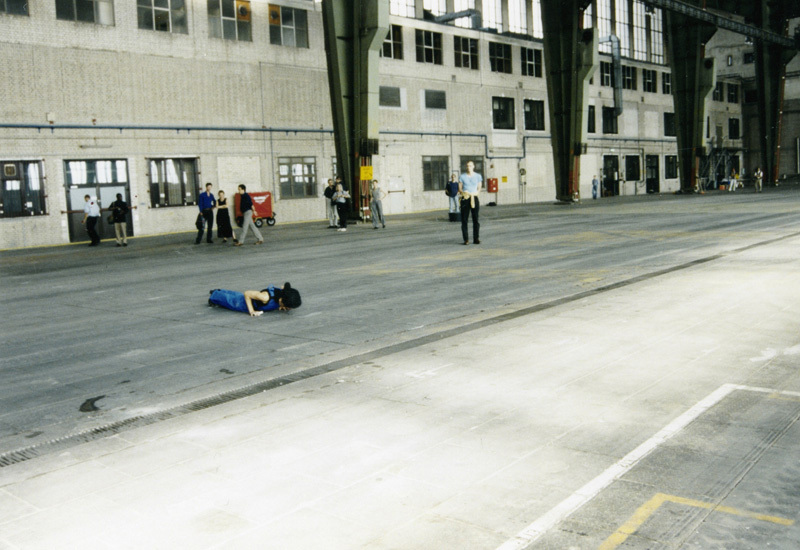 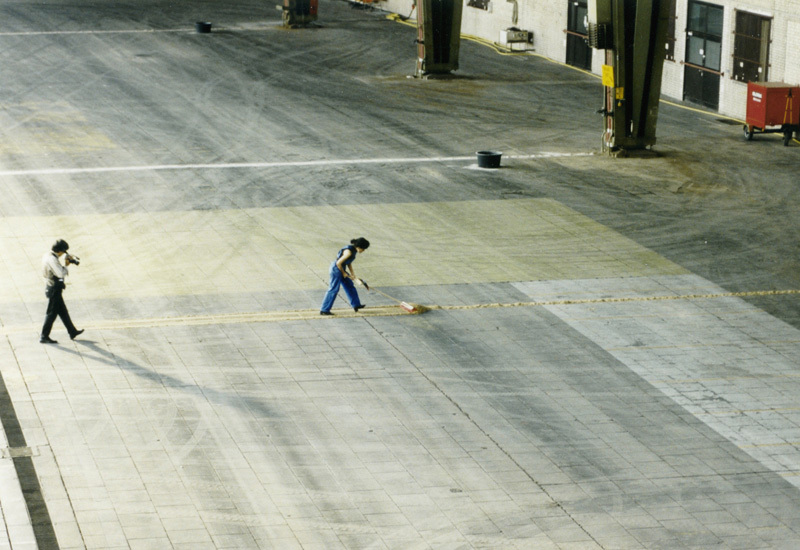 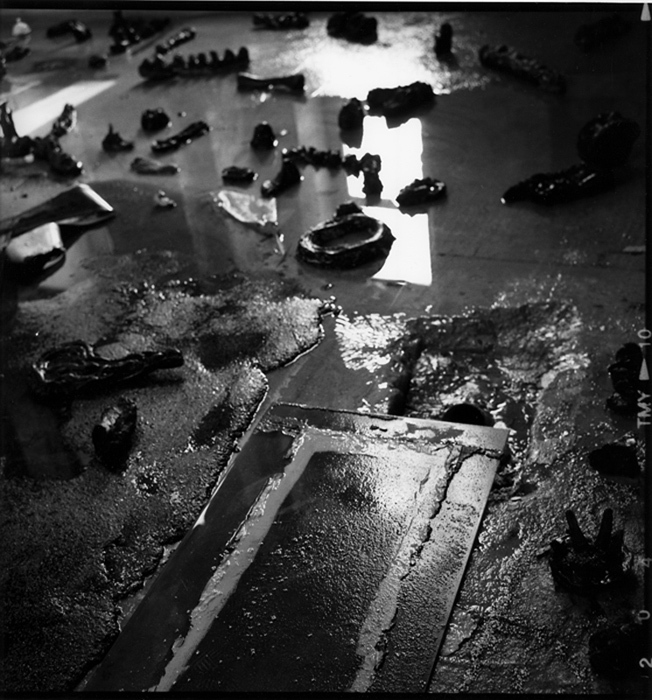 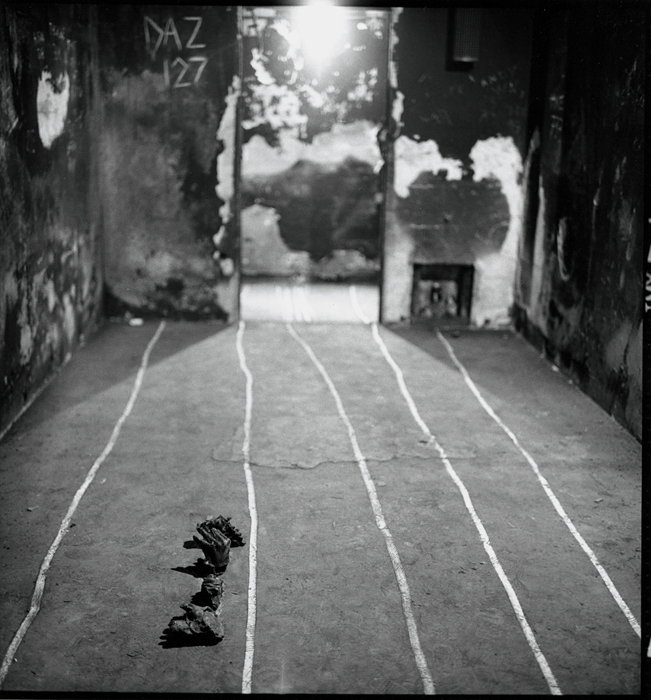 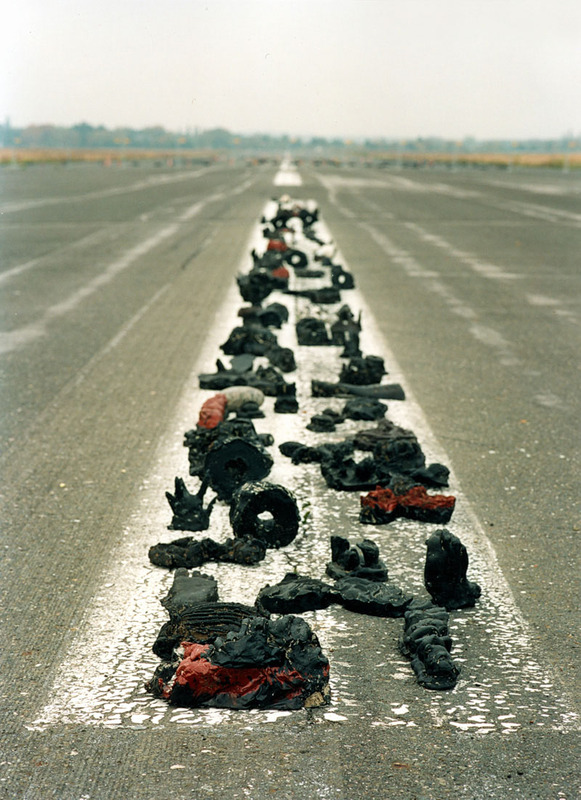 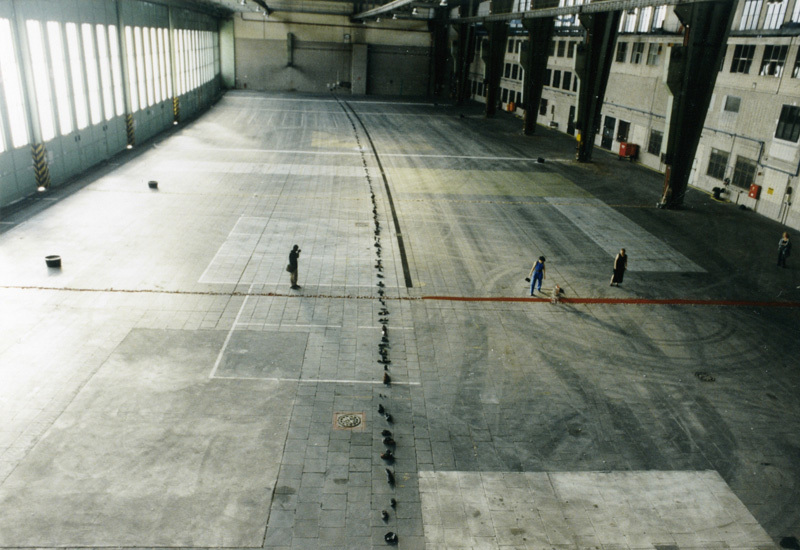 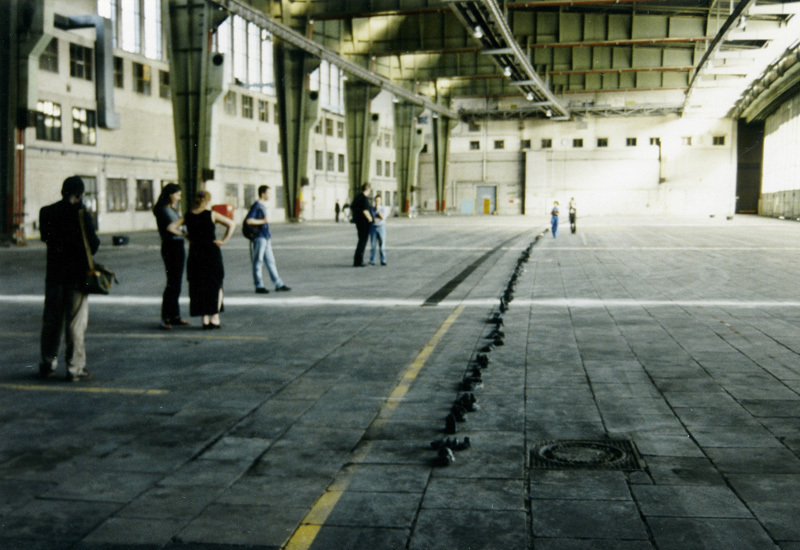 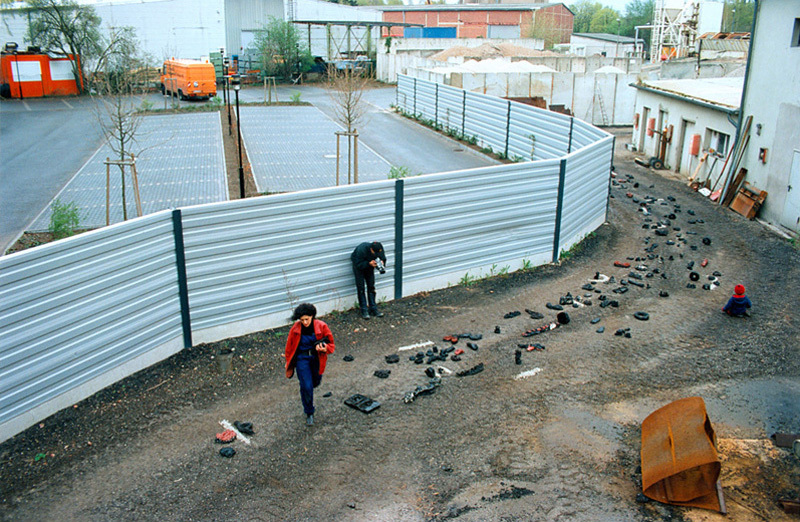 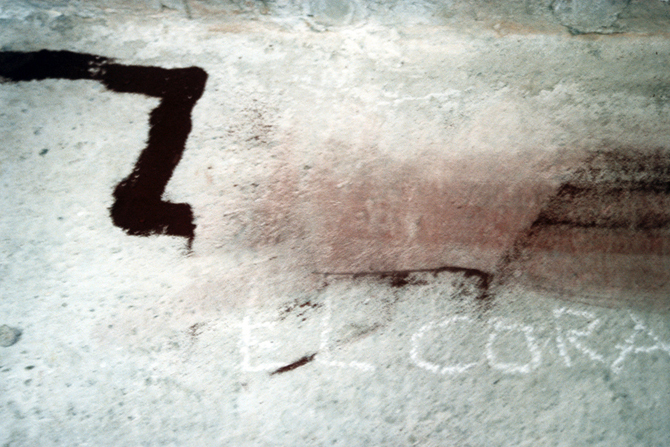 First in the series was an installation in the former airport Gatow in Berlin. 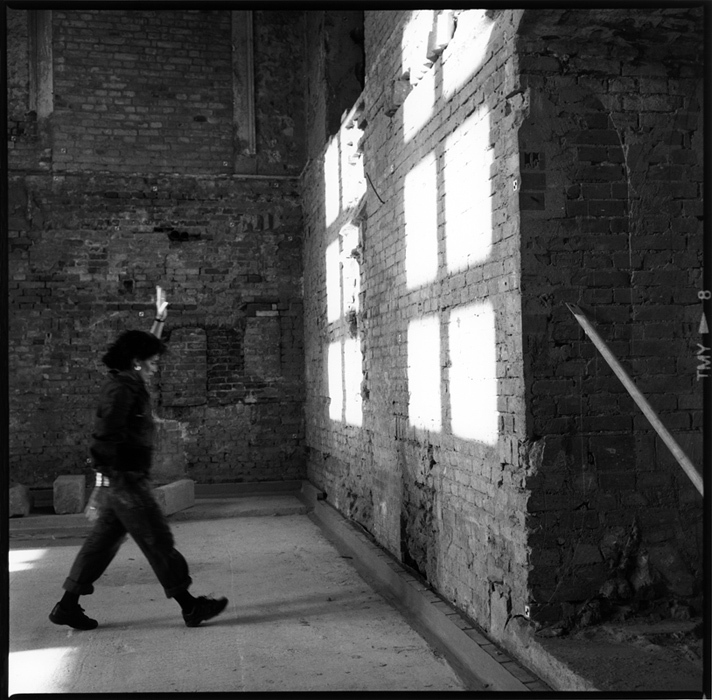 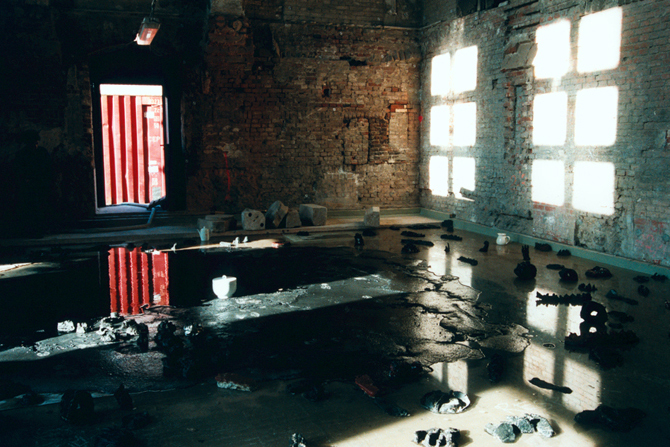 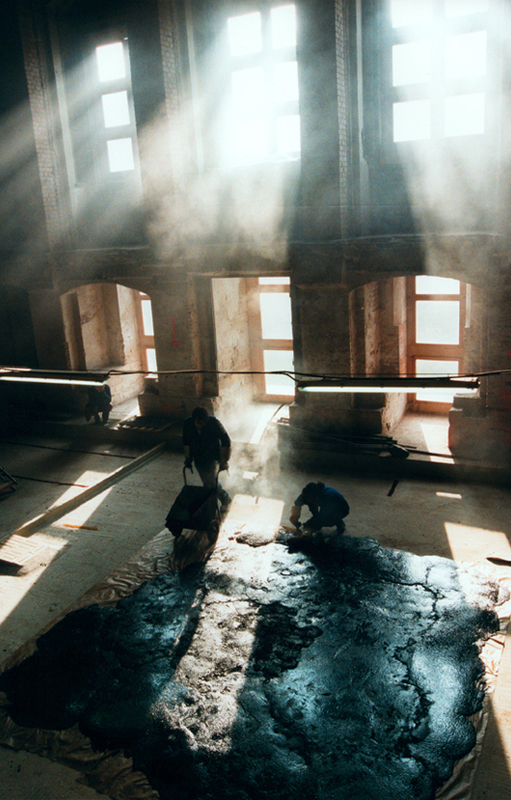 The project ended with a three day performance in the ruins of the new museum on the ‘Museumsinsel’ (Museum Island) in Berlin in 2000. 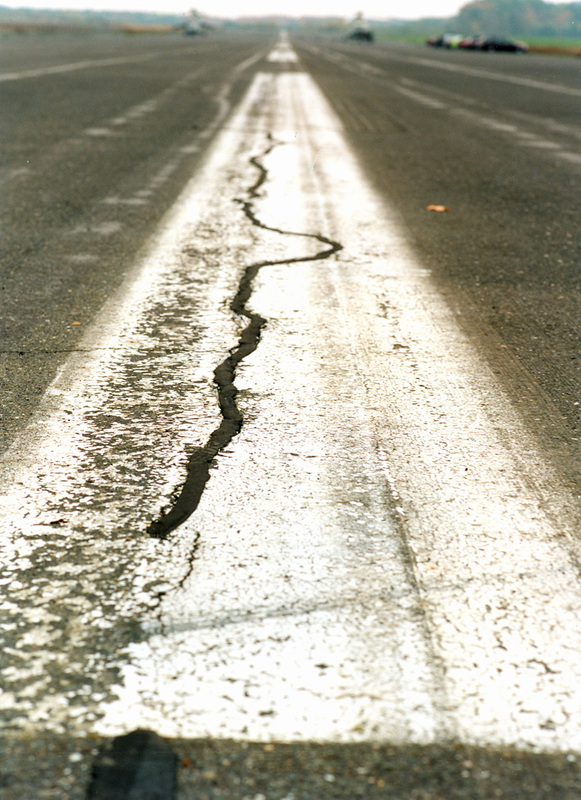 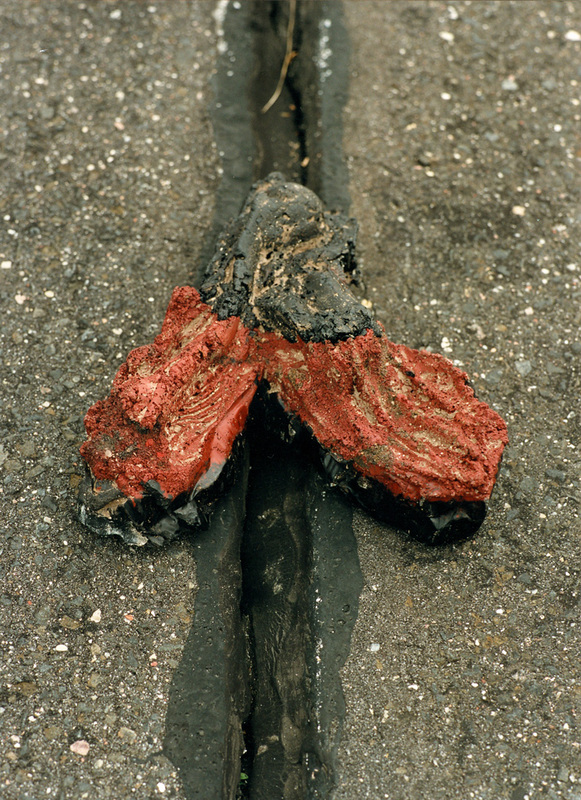 During this period the artist cast impressions of her feet, hands and fingers in asphalt. 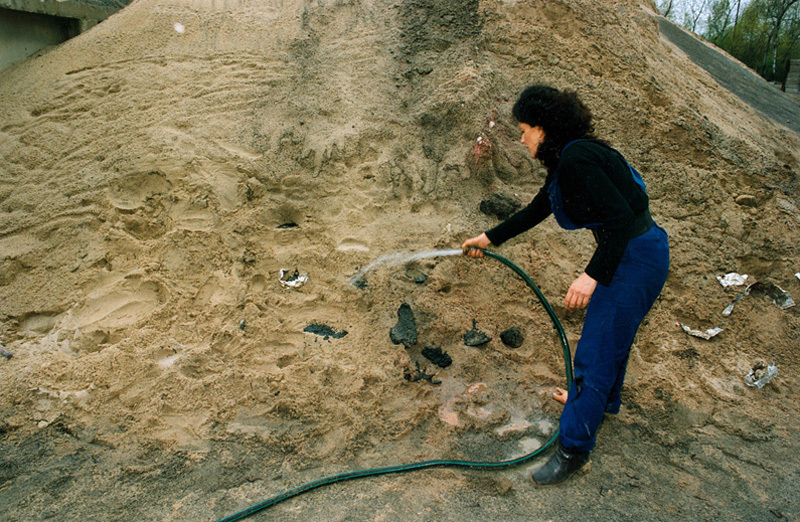 She also modelled inner organs such as lungs, the stomach, the brain and bones in clay and cast them in the same material. 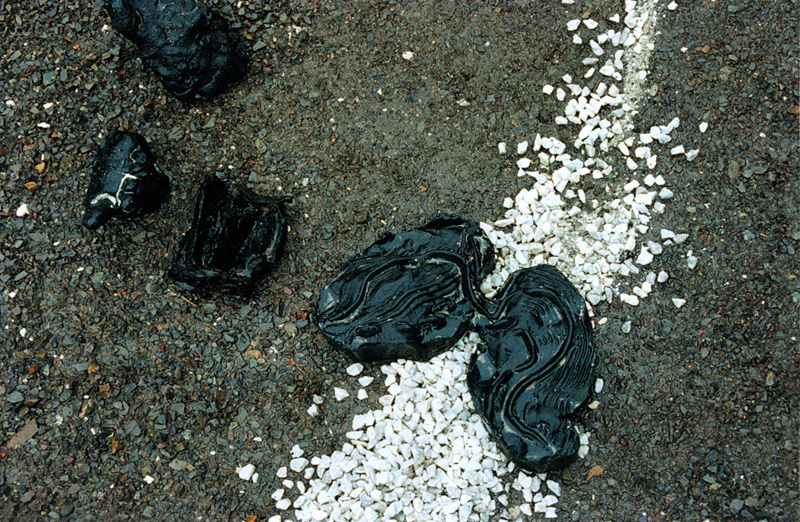 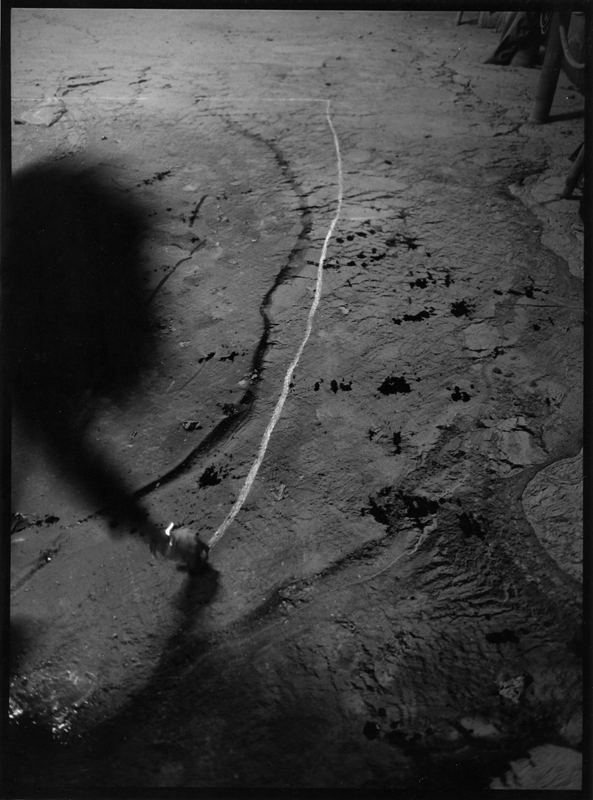 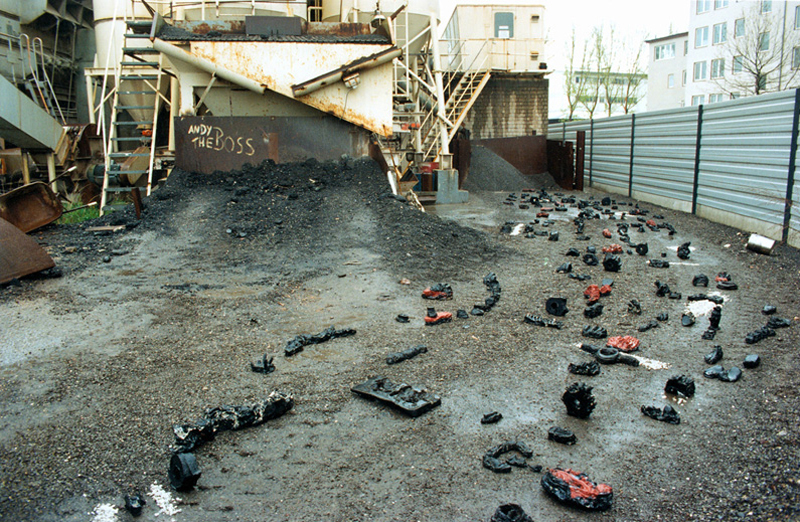 She called this bitumen body ‘the flow of memory’. 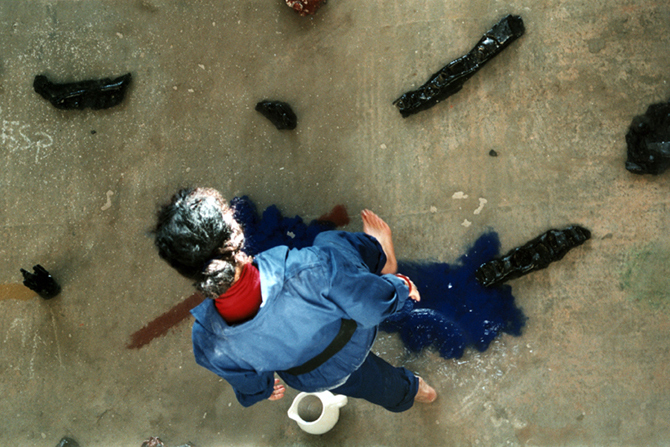 For the artist the performances enact a reconnecting with memories that were frozen, and are now brought back to life so they can flow again. 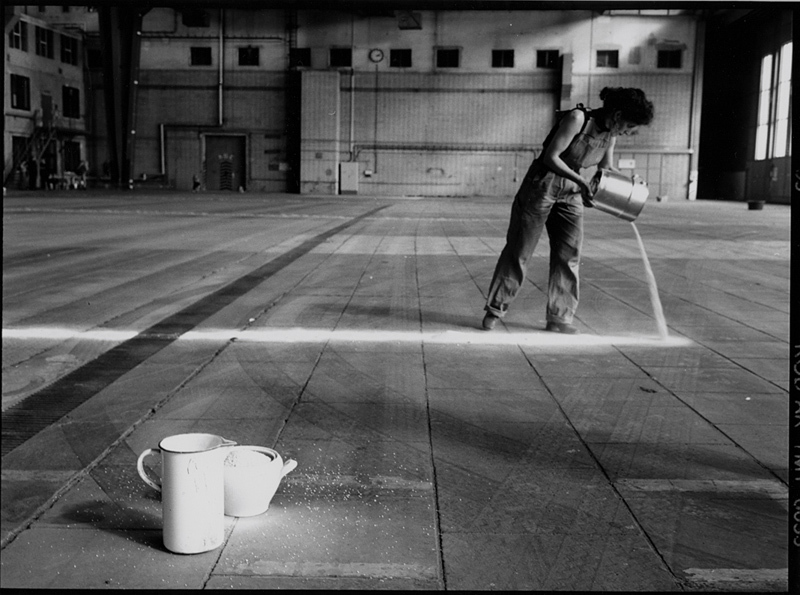 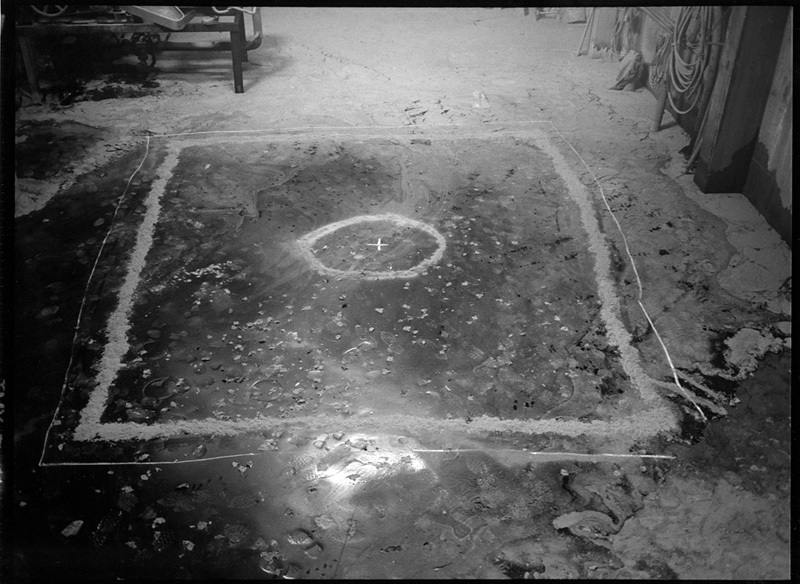 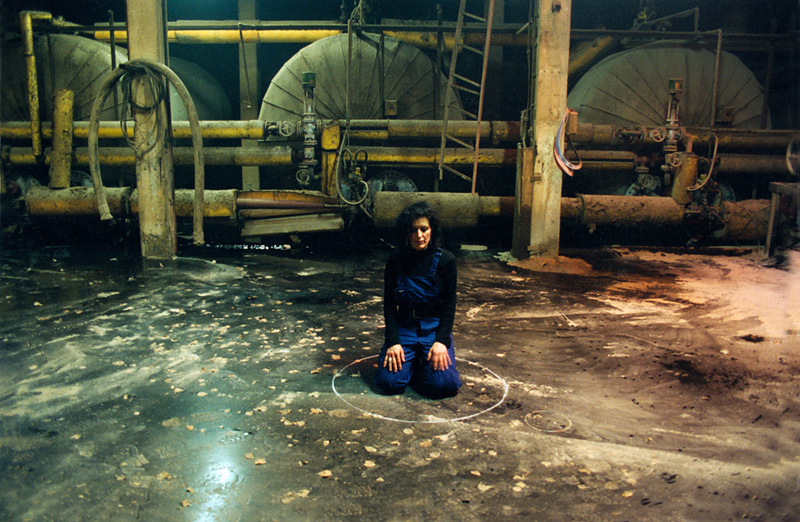 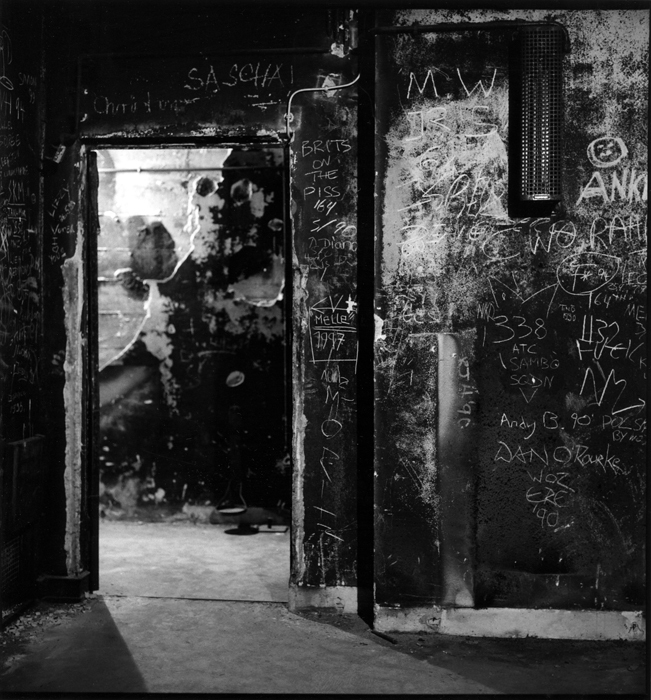 The artist worked in locations that were ‘non-spaces’ that had lost their original function. 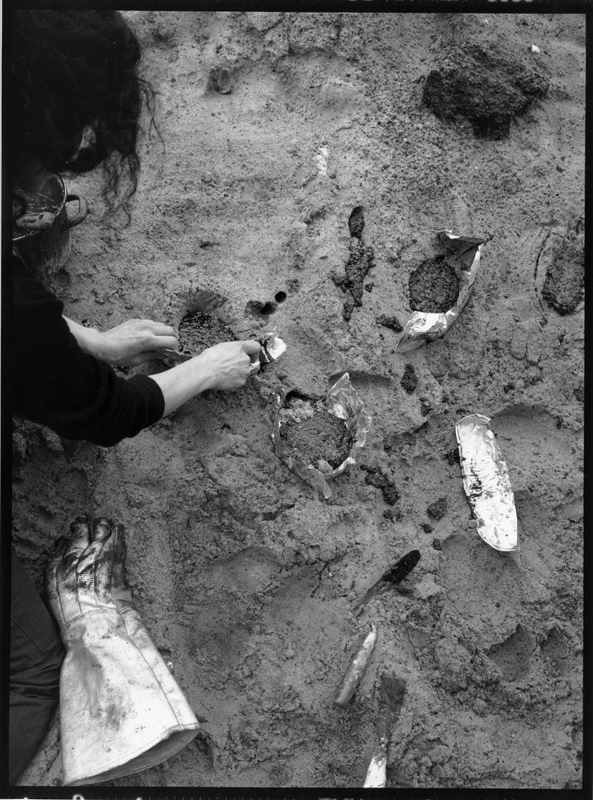 She investigated the themes of the body, identity and cultural memory and each of these interventions related to the location and its history.